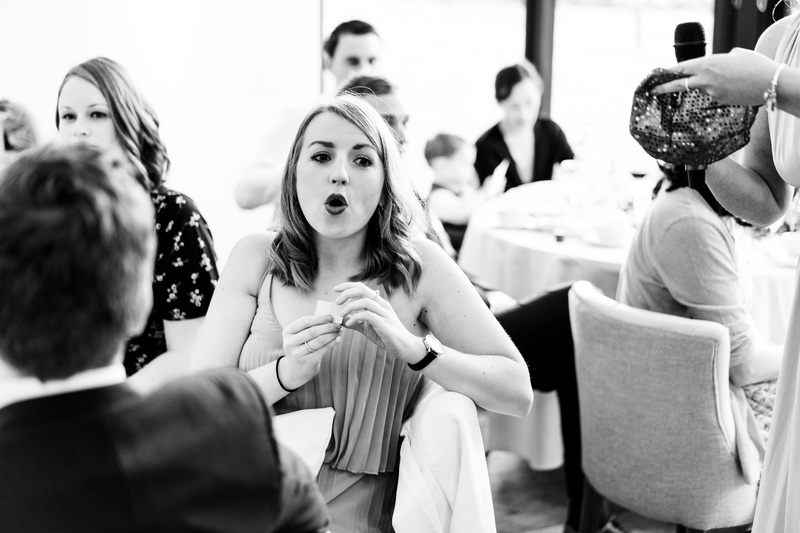 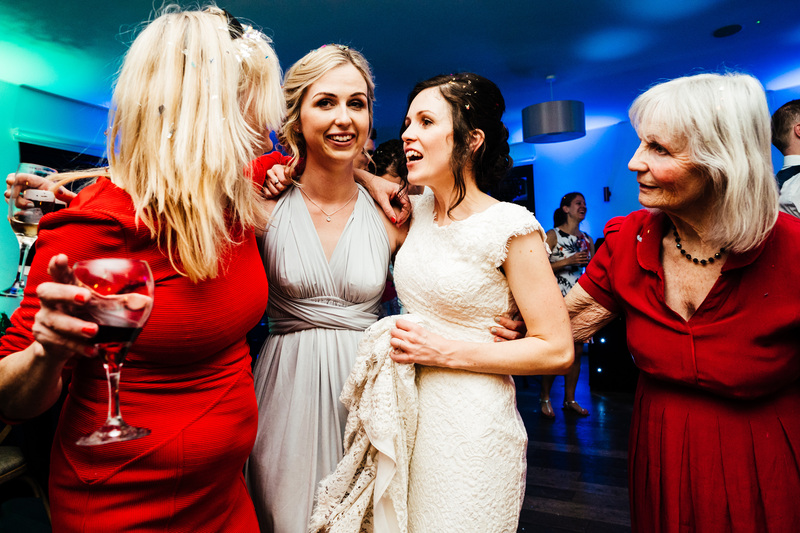 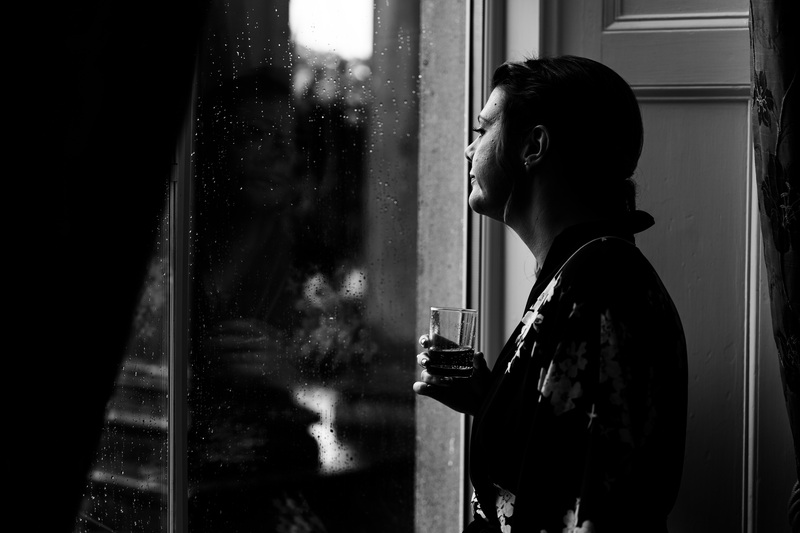 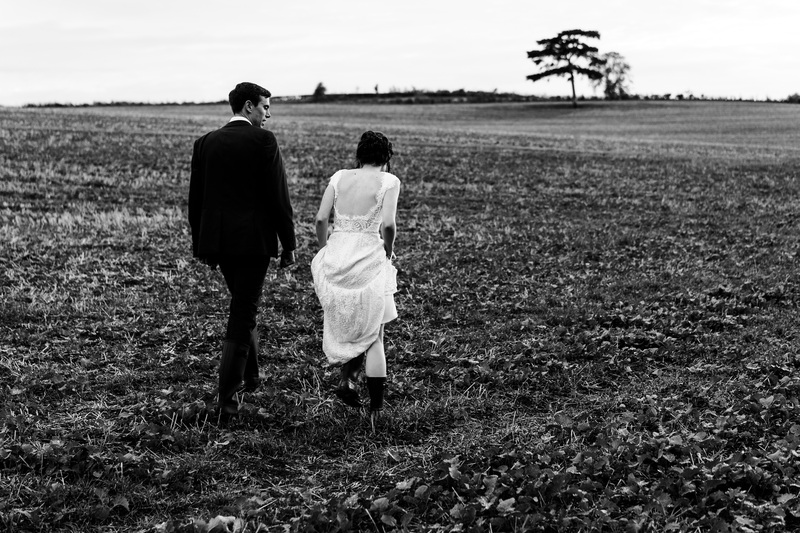 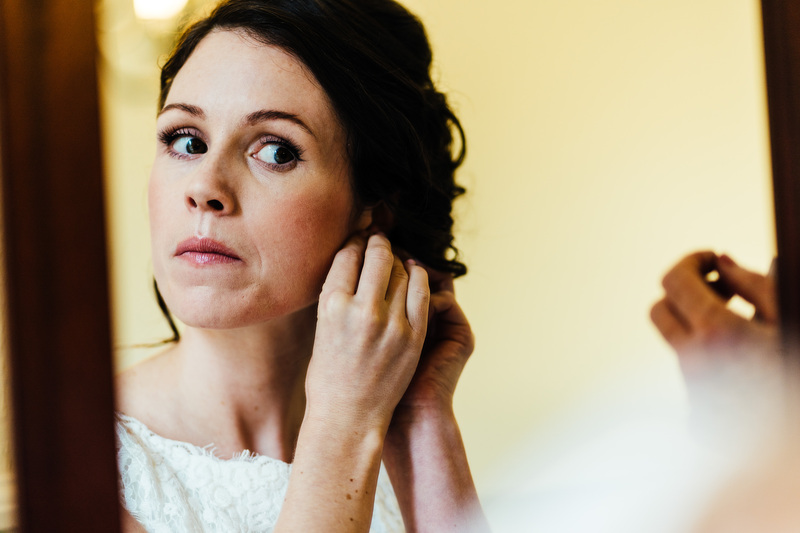 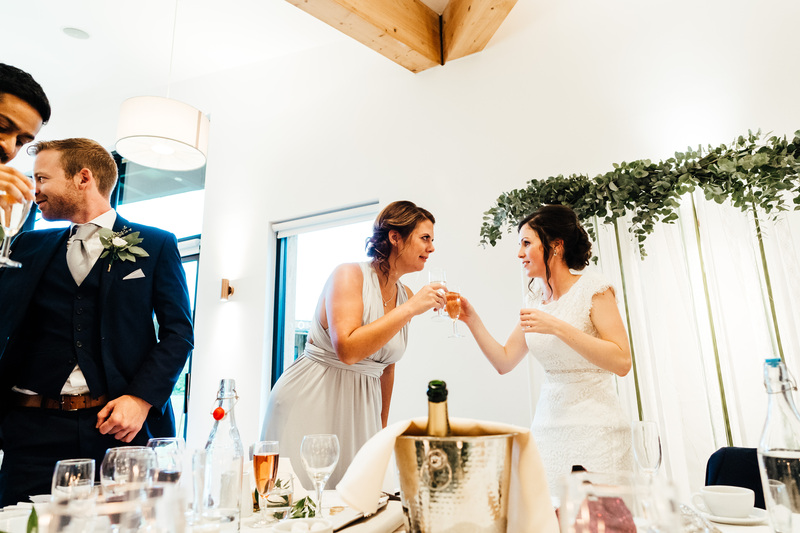 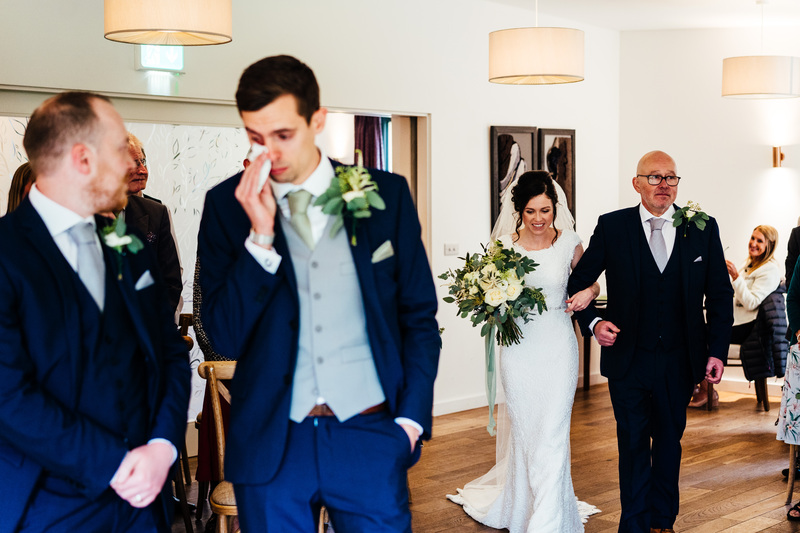 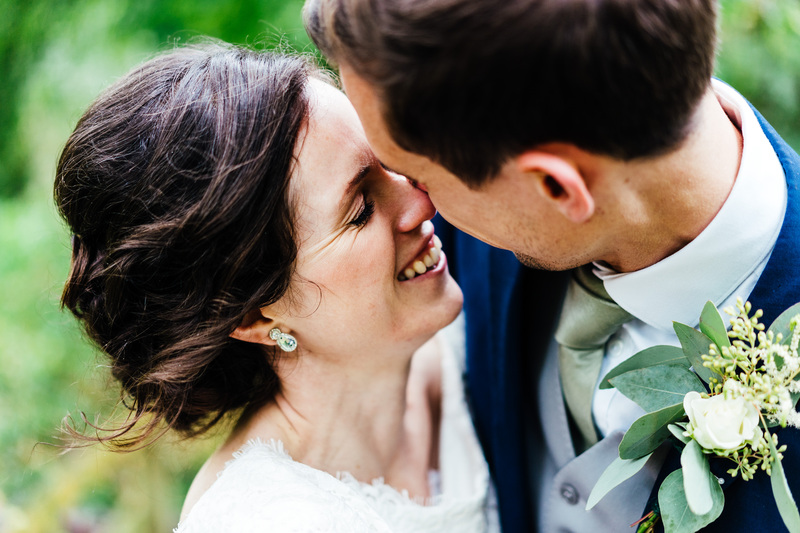 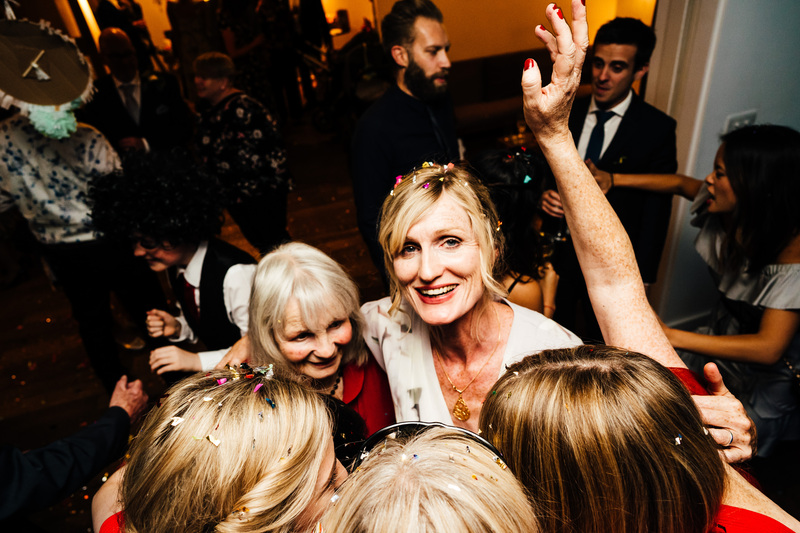 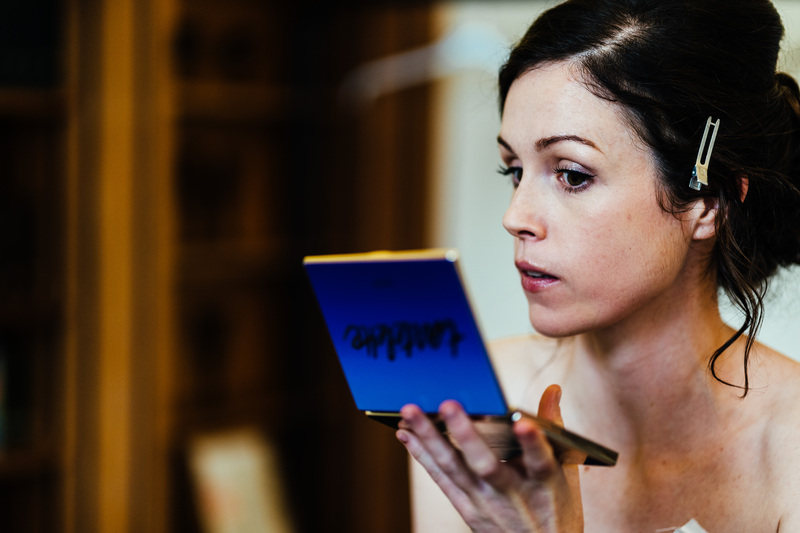 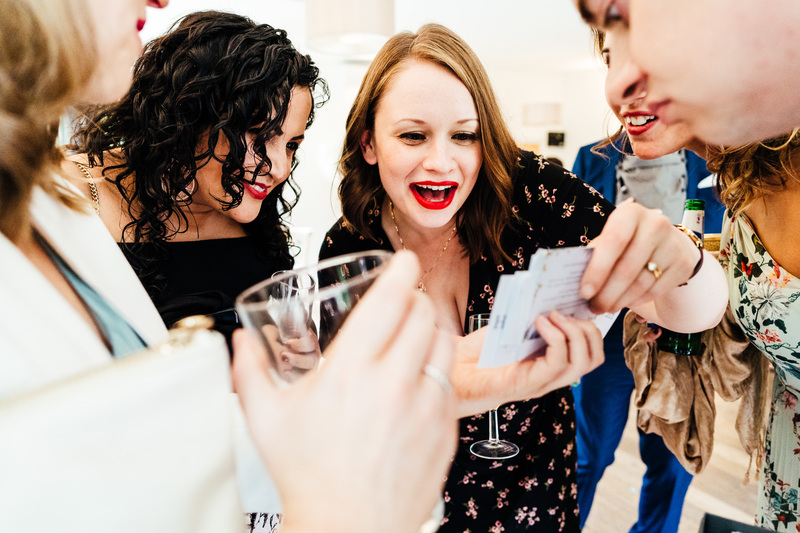 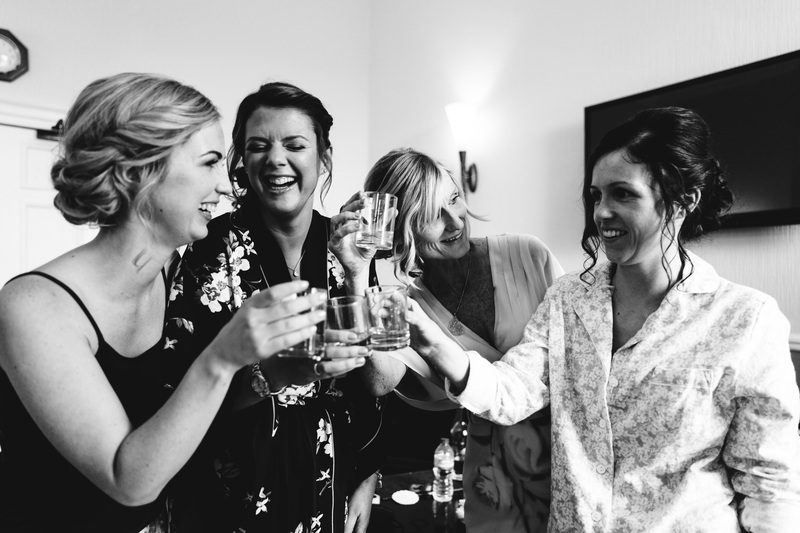 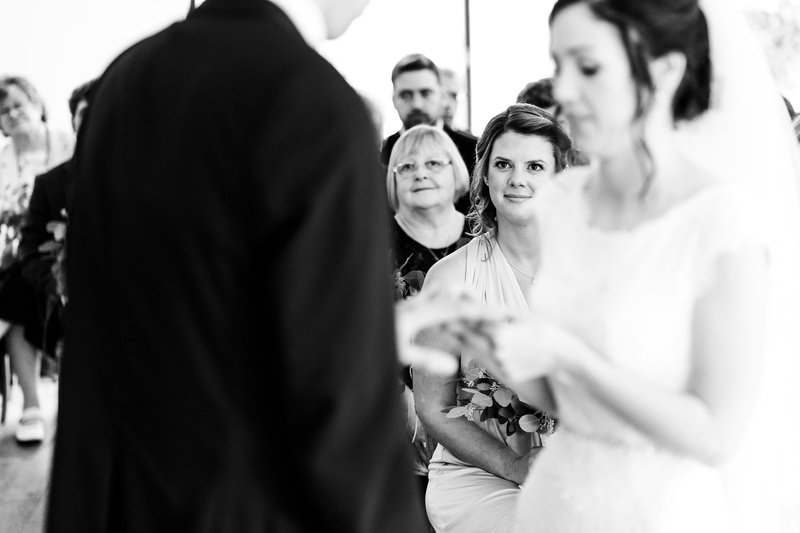 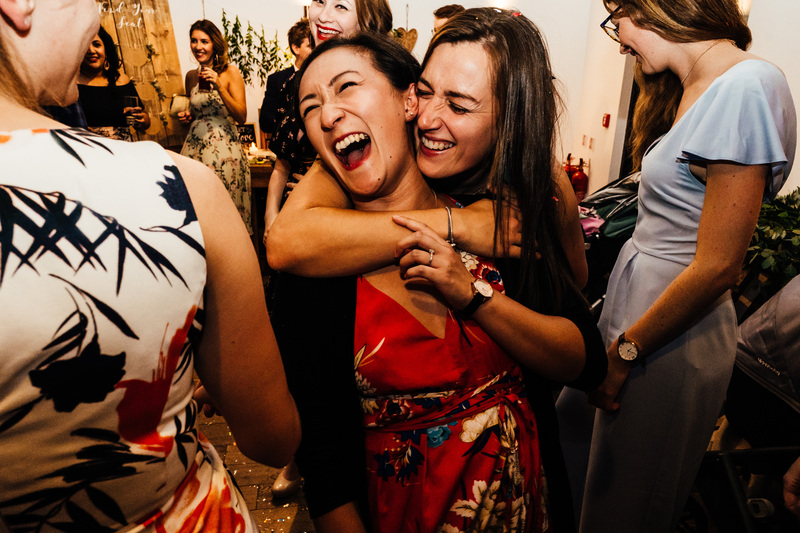 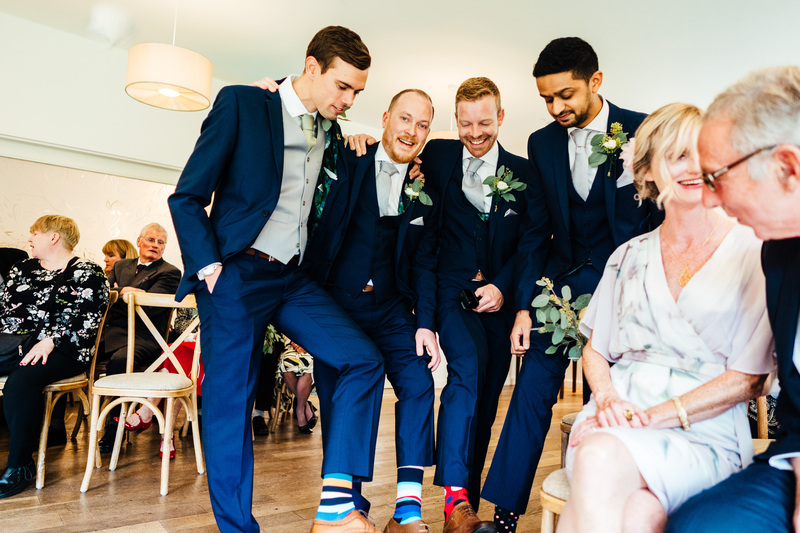 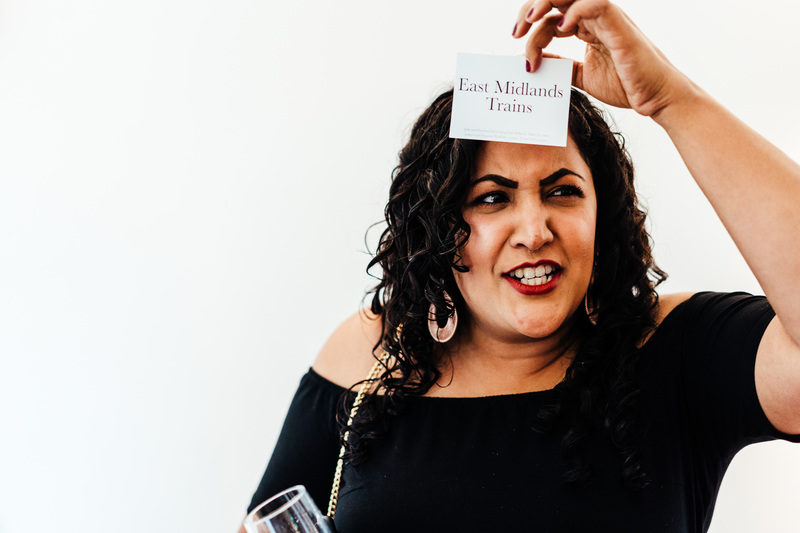 “Hannah was more than just a photographer and at times, it felt like she was my third bridesmaid, carrying my perfume bottle all day and socialising with our guests. 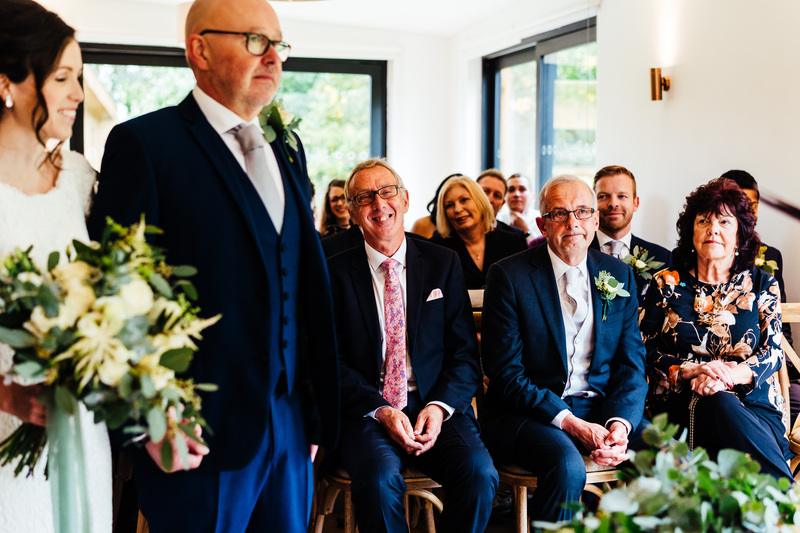 It was such a joy to be back for a wedding at The Woodlands at Hothorpe, which is one of my most local venues. 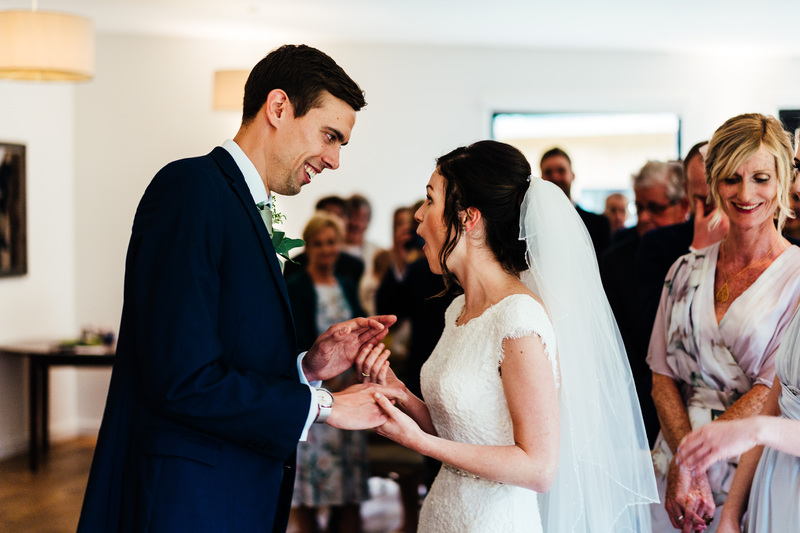 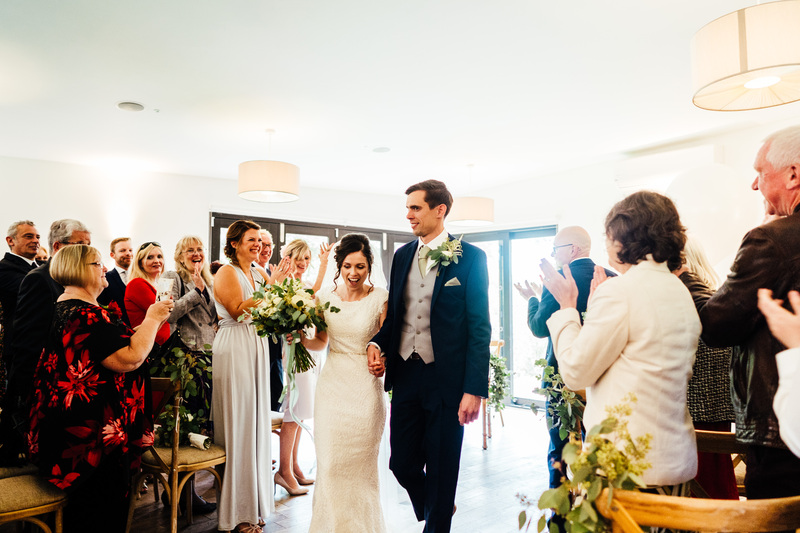 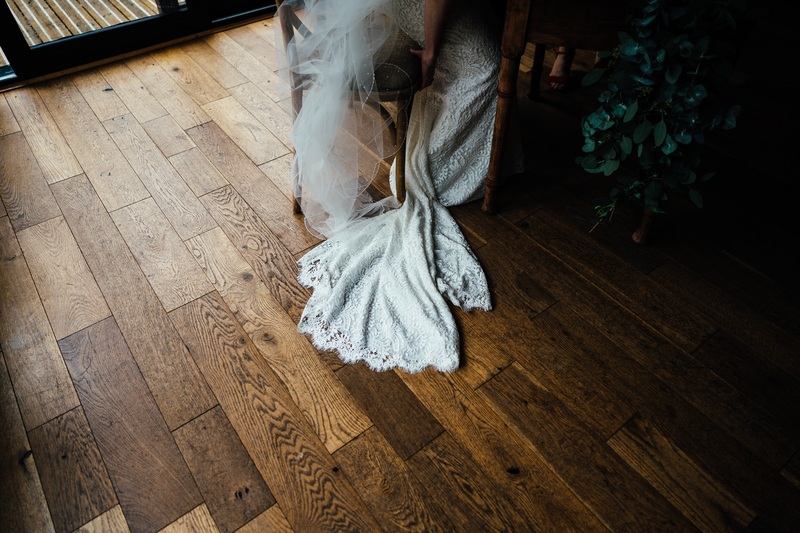 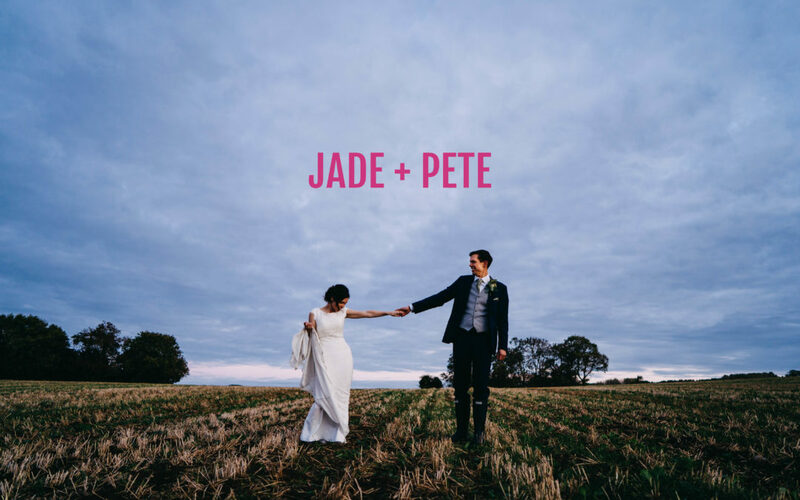 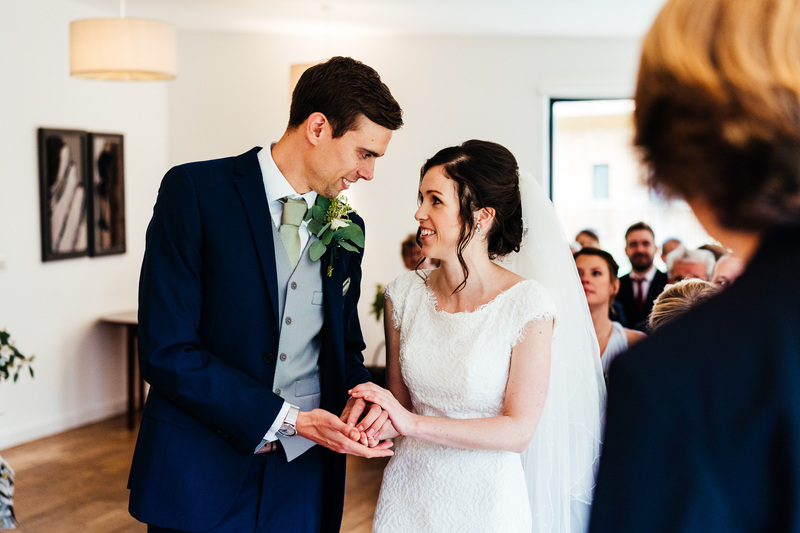 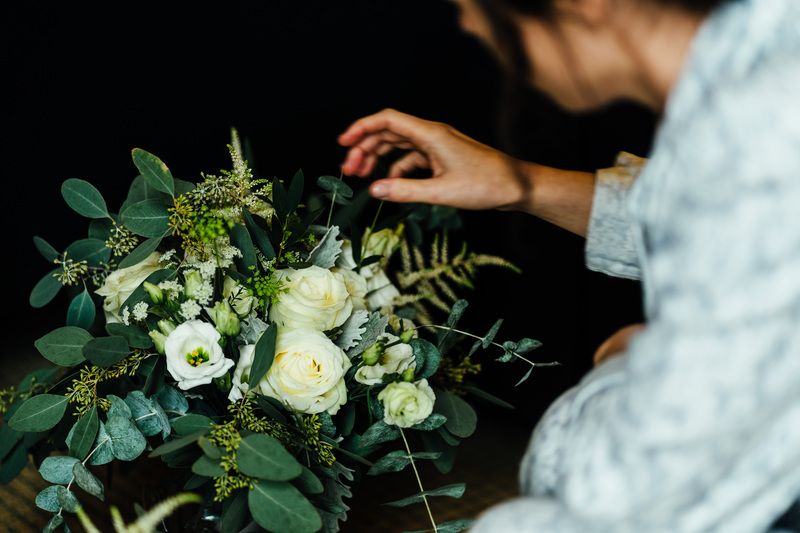 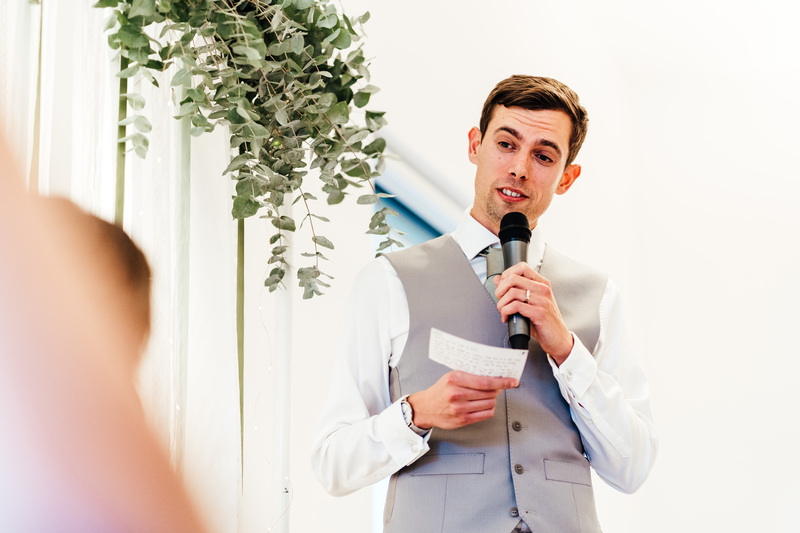 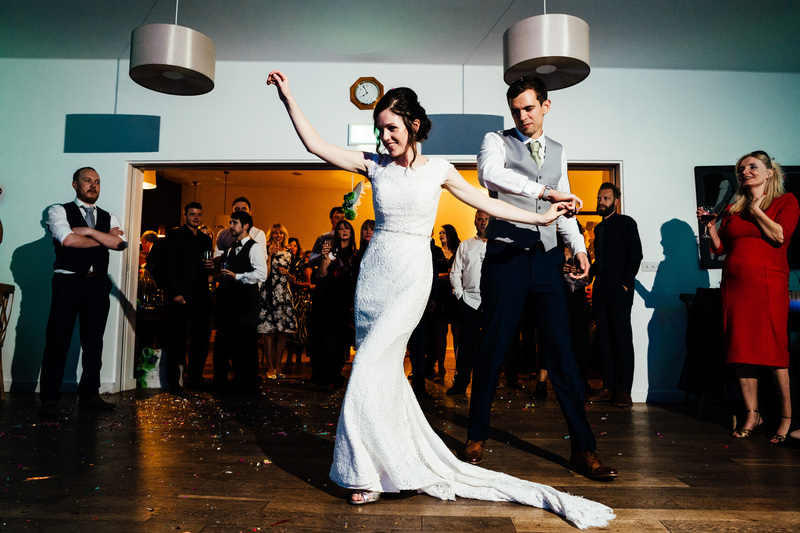 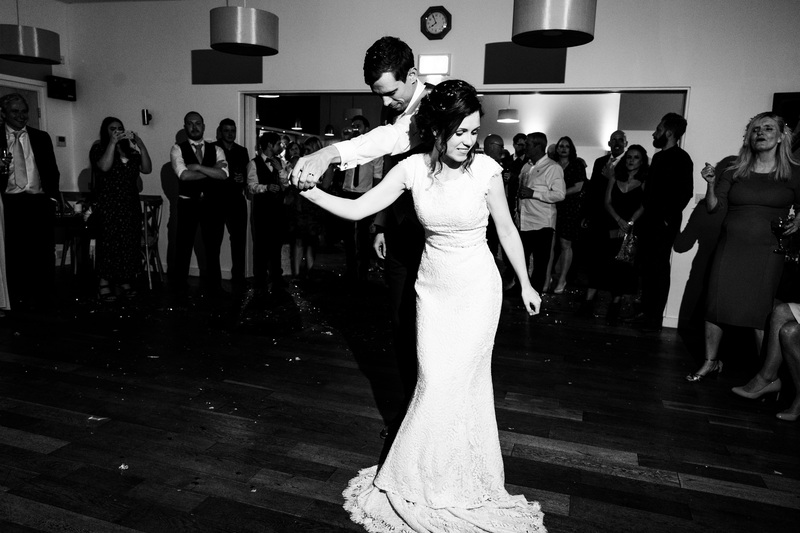 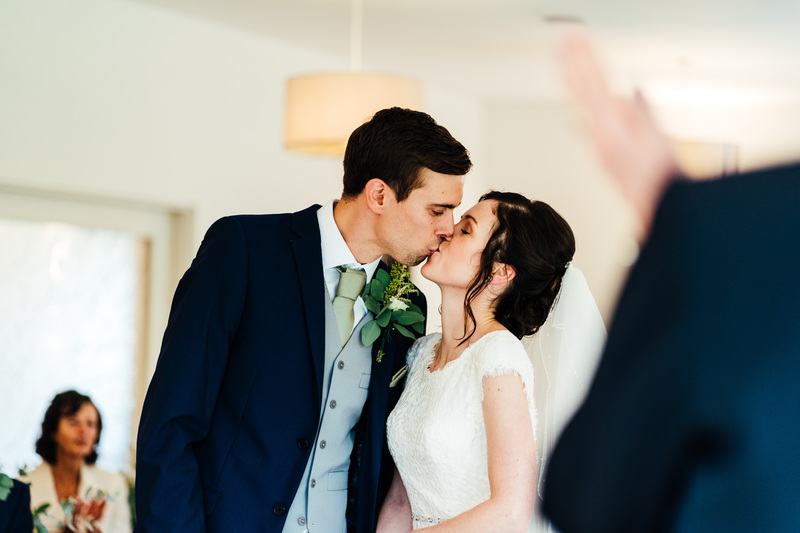 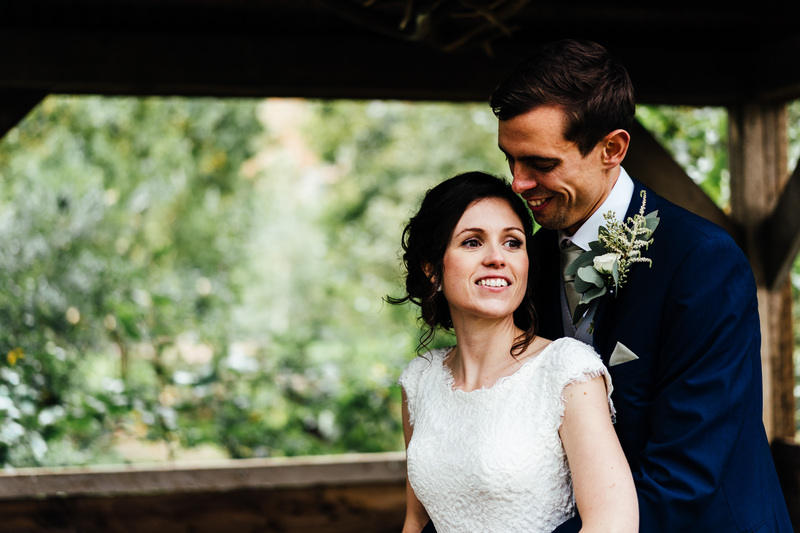 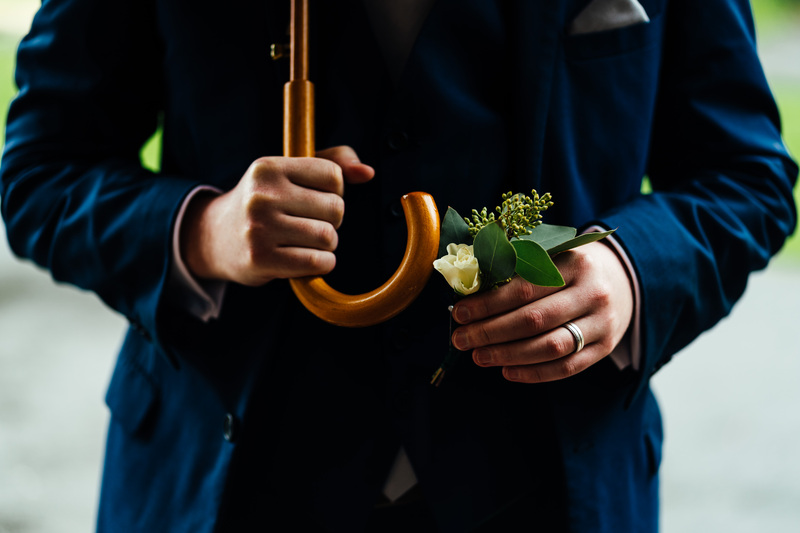 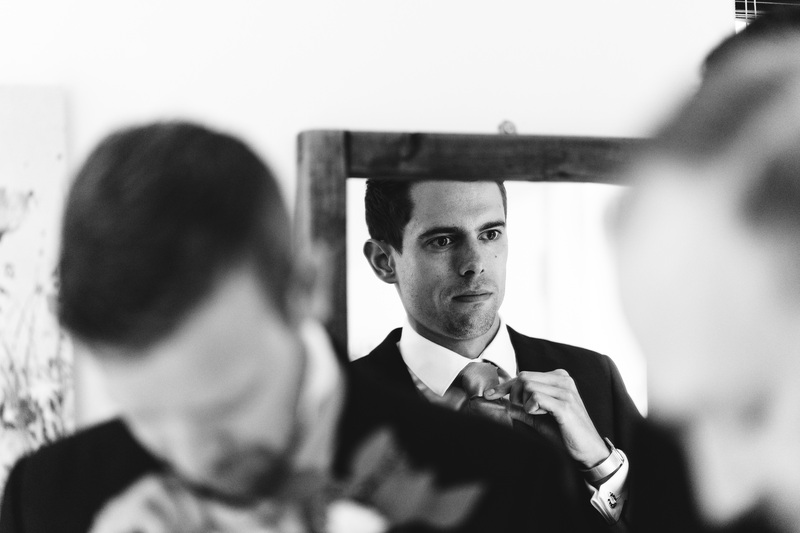 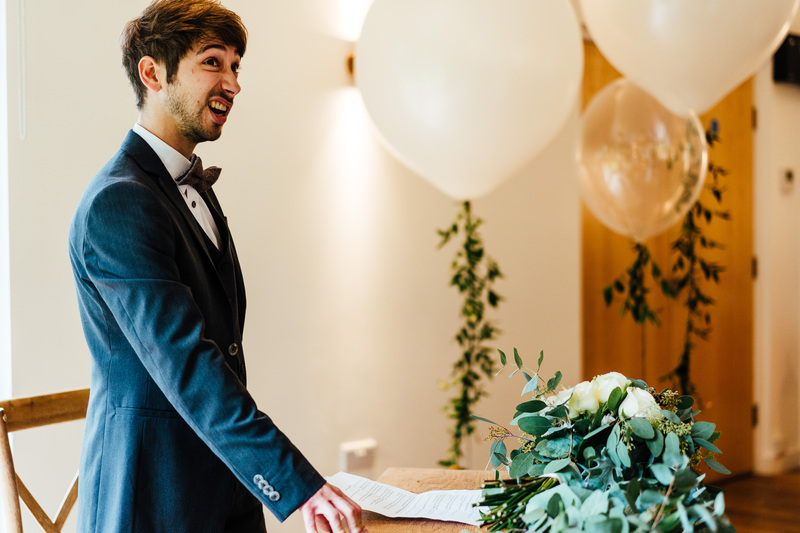 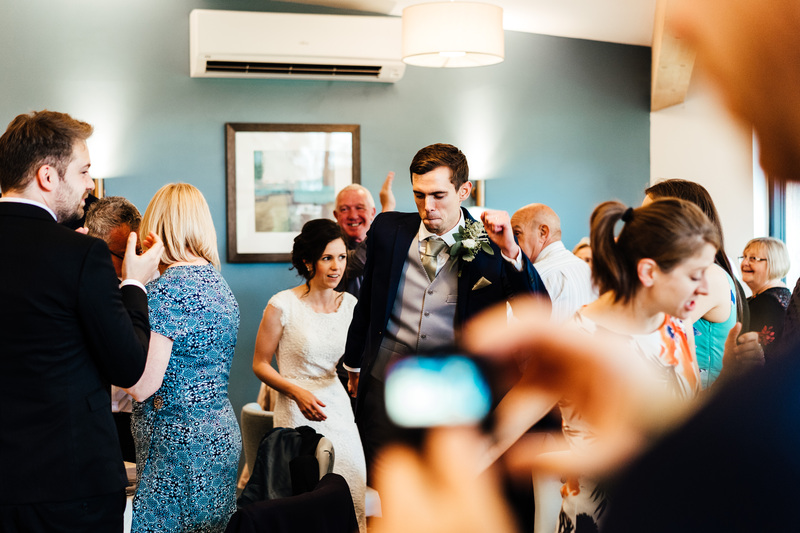 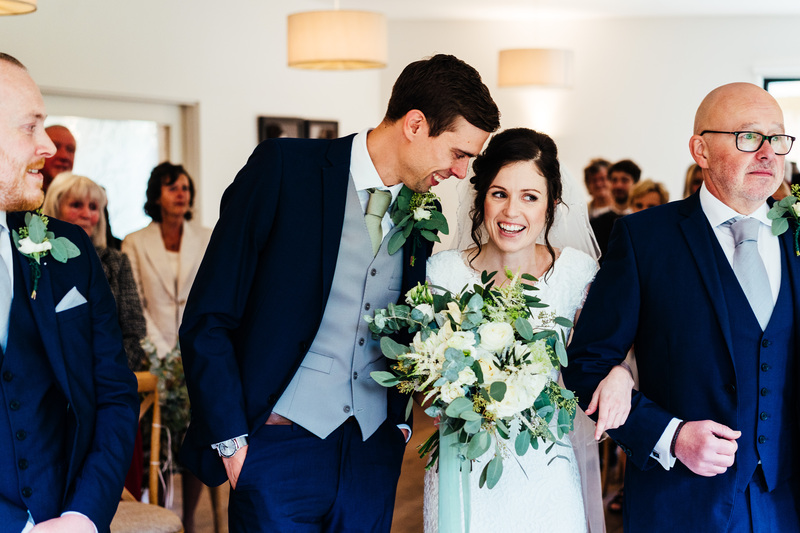 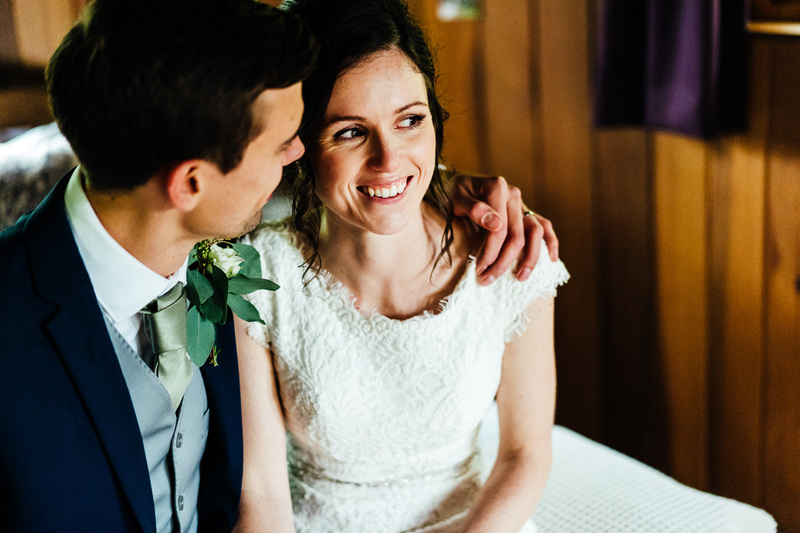 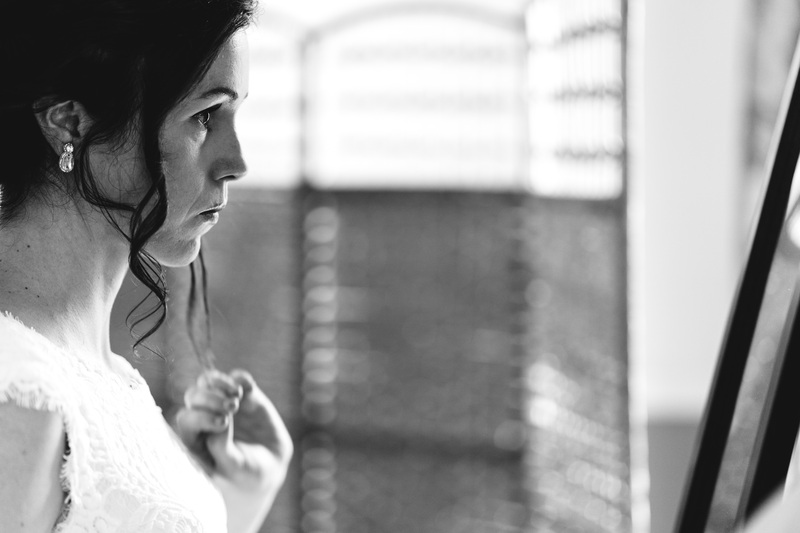 Jade and Pete are a brilliant lesson in how to do a wedding properly, in my opinion, with minimal fuss, simple decoration that looked stunning and making all their choices really personal to them. 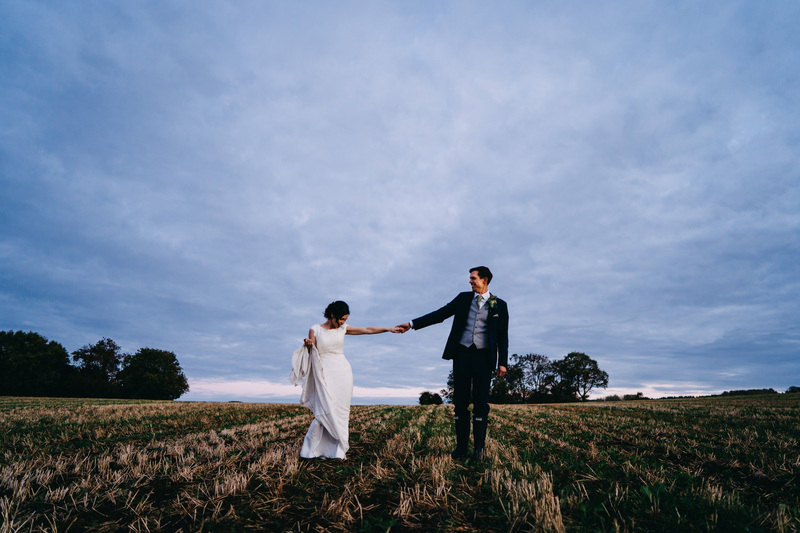 Their plans considered their guests carefully too, with lots for them to do to keep them occupied and make brilliant memories with and their photography reflected this too; a few minutes for couple shots (they came better prepared for wet weather than I did; they rocked matching Hunter Wellies and I had to ditch my flip flops after pootling through a muddy field at sundown) but their emphasis was on candids of their guests enjoying everything they’d put on for them. 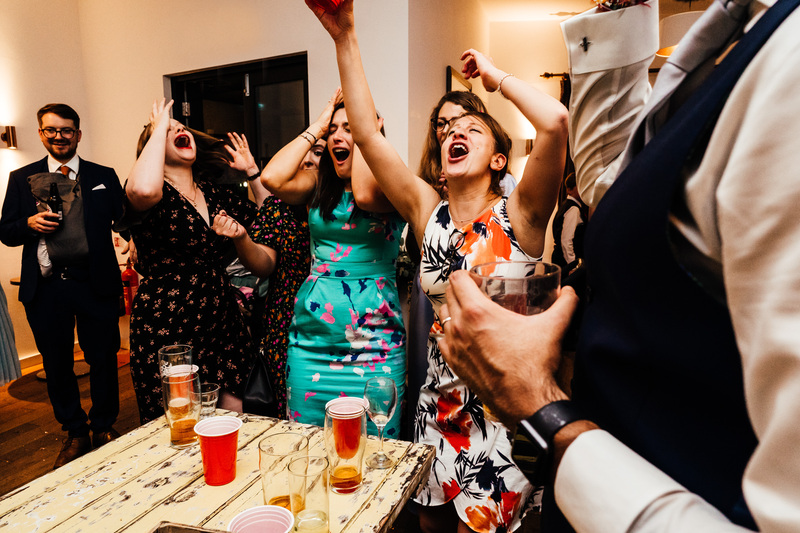 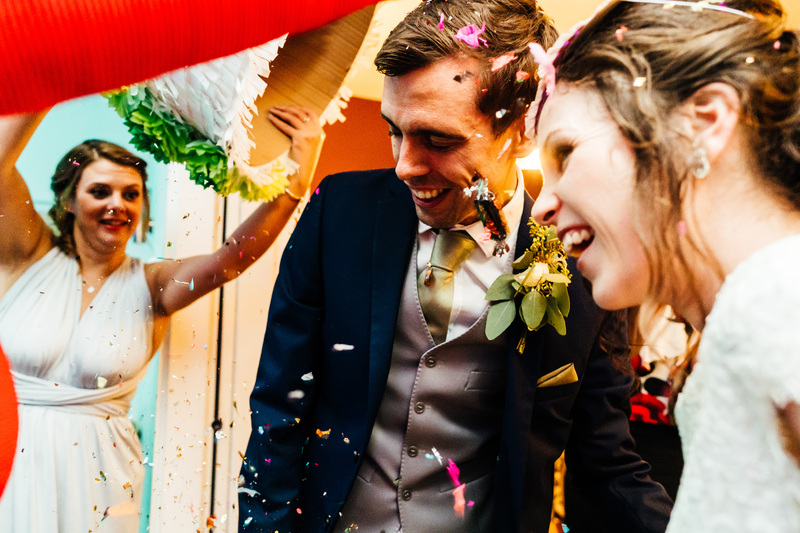 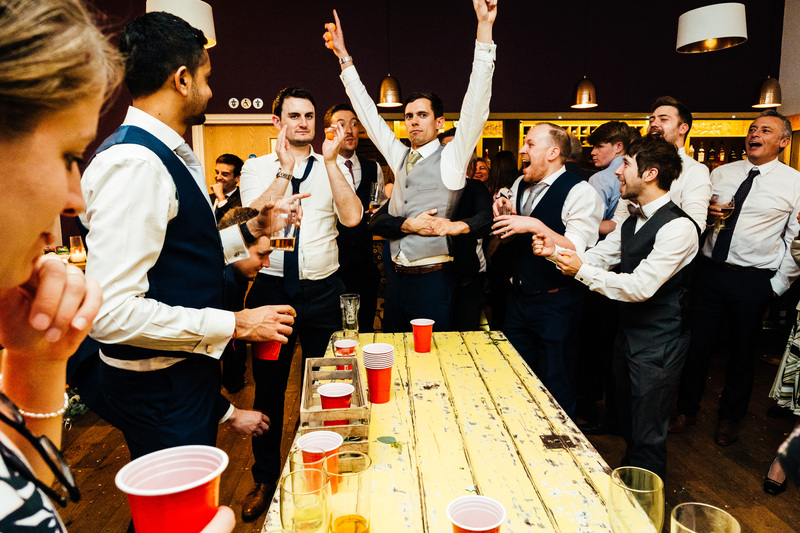 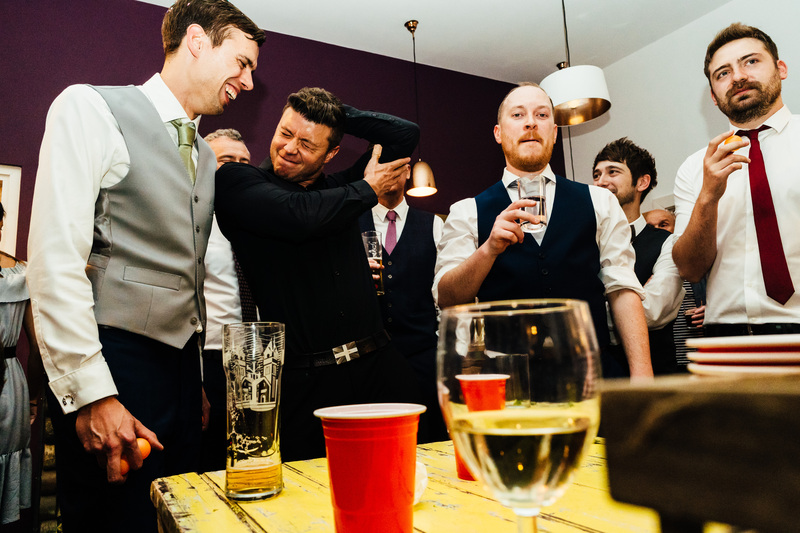 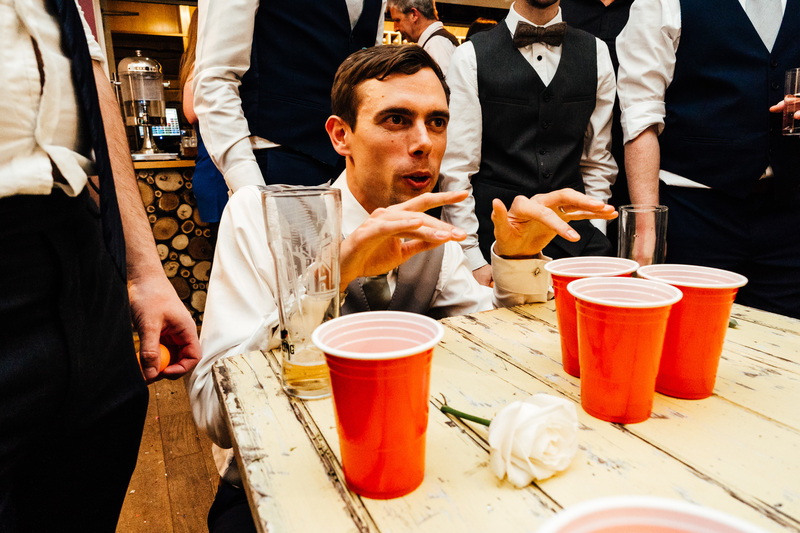 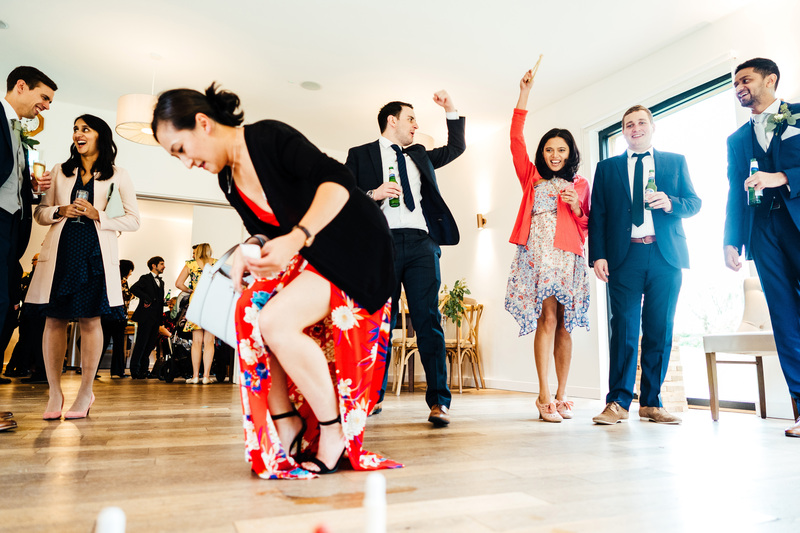 Highlights for me included the way these two giggled and blubbed through the ceremony, Mr + Mrs Colin the Caterpillar cakes, the pinata and what was, without question the most intense, epic game of beer pong I’ve ever photographed. 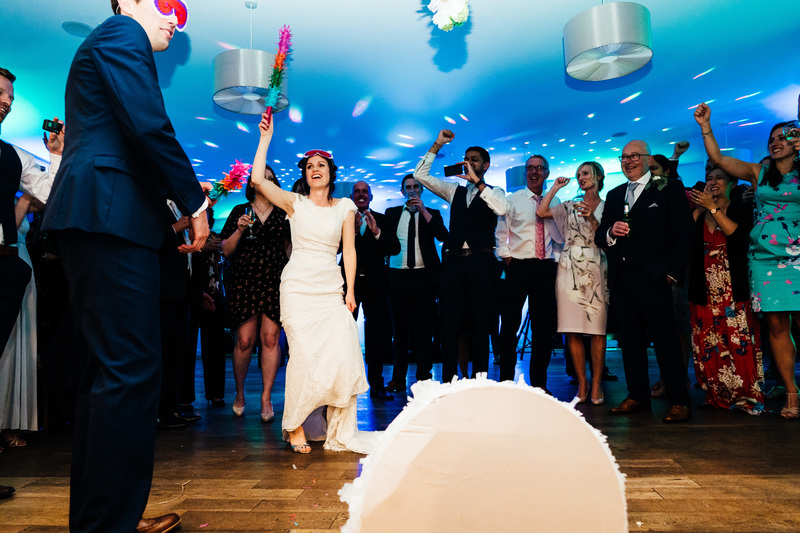 I can’t wait for June to shoot my next wedding at The Woodlands, Hothorpe; I hope they have a pinata too!!! 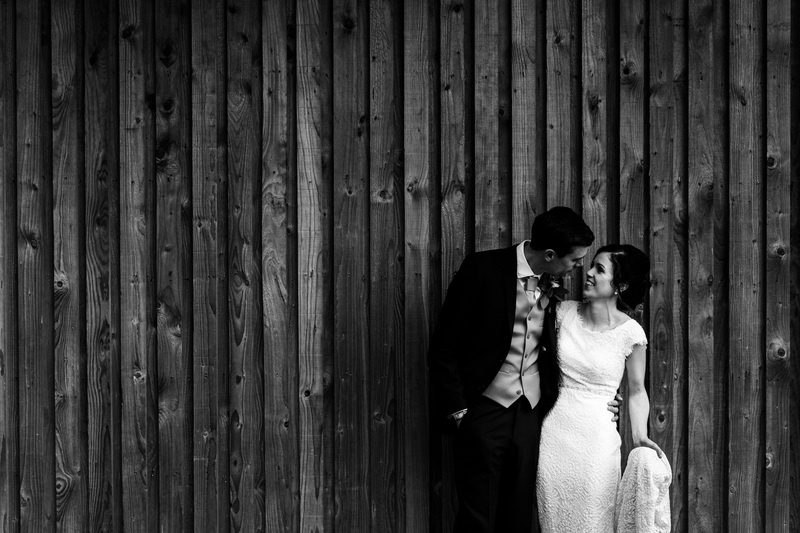 We were next door neighbours in our halls at Uni in Sheffield. 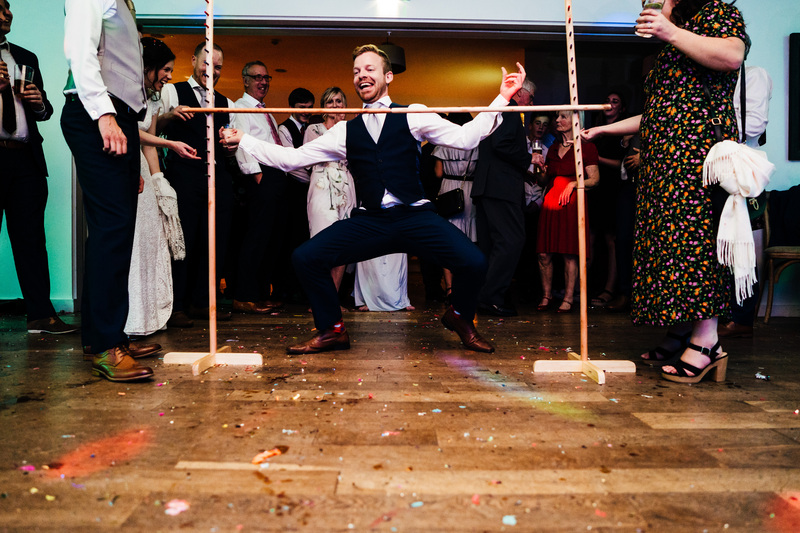 Pure convenience! 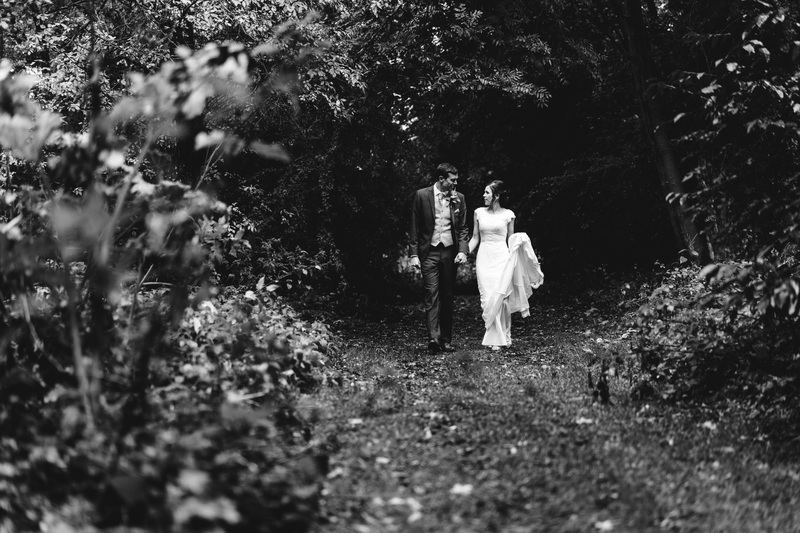 We were in Drake Bay, Costa Rica. 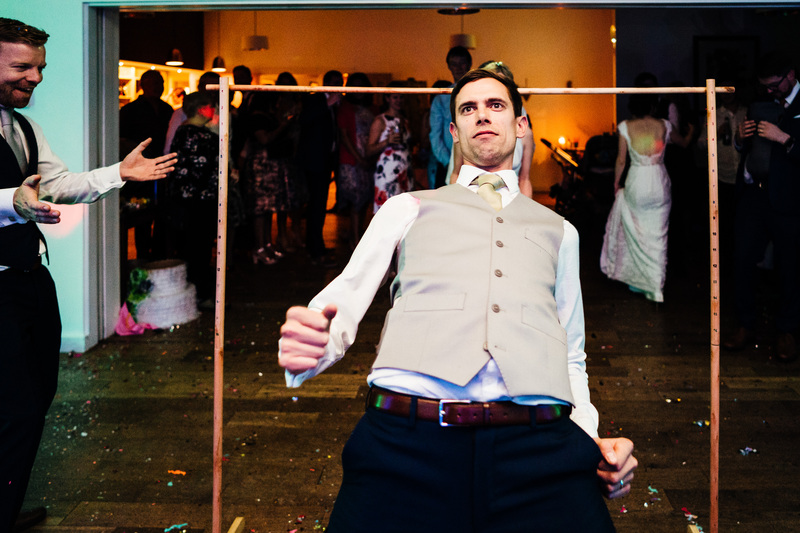 Pete knew that he wanted to propose, but he just couldn’t decide on the right moment. 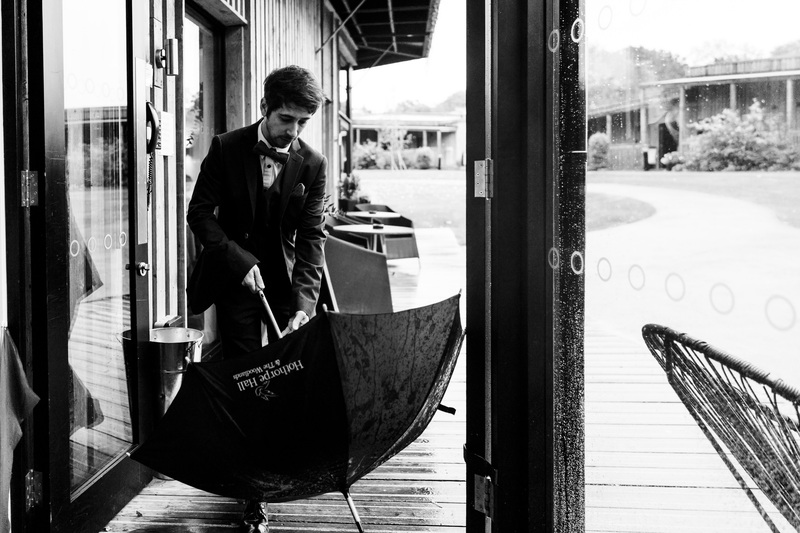 Eventually he did though and it was very special, it was at a remote waterfall (after a long walk through a river). 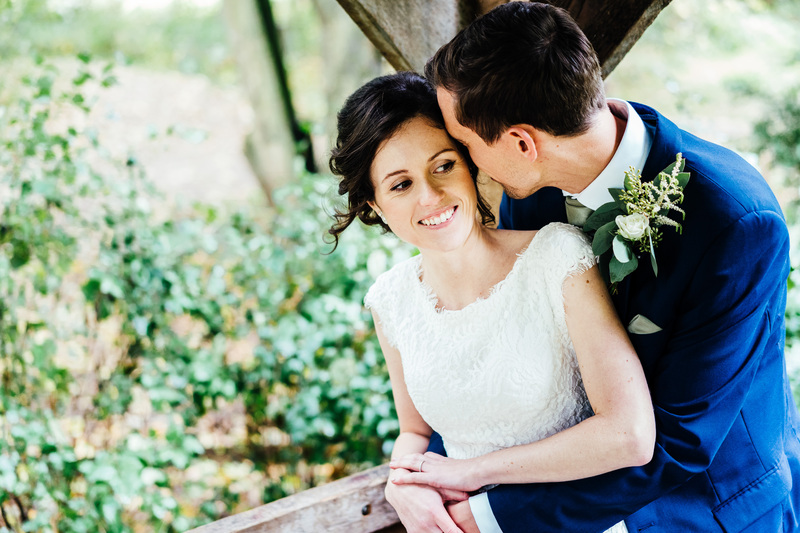 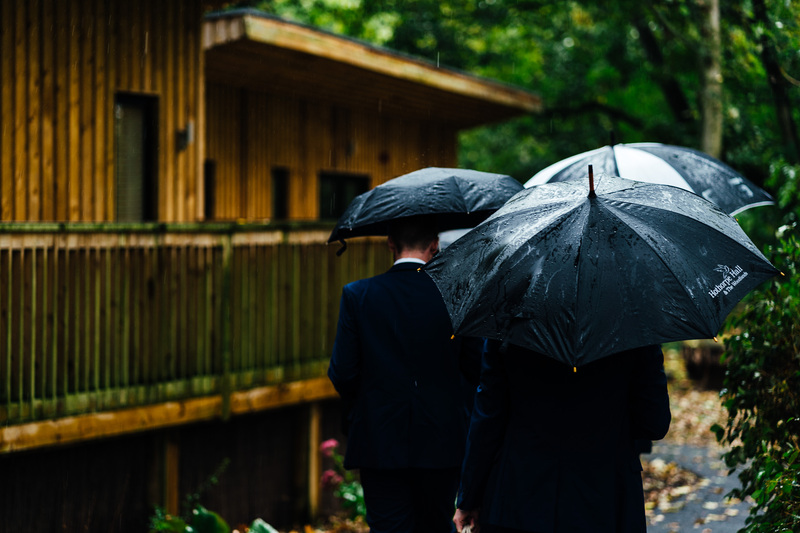 Why did you choose The Woodlands at Hothorpe for your wedding day? 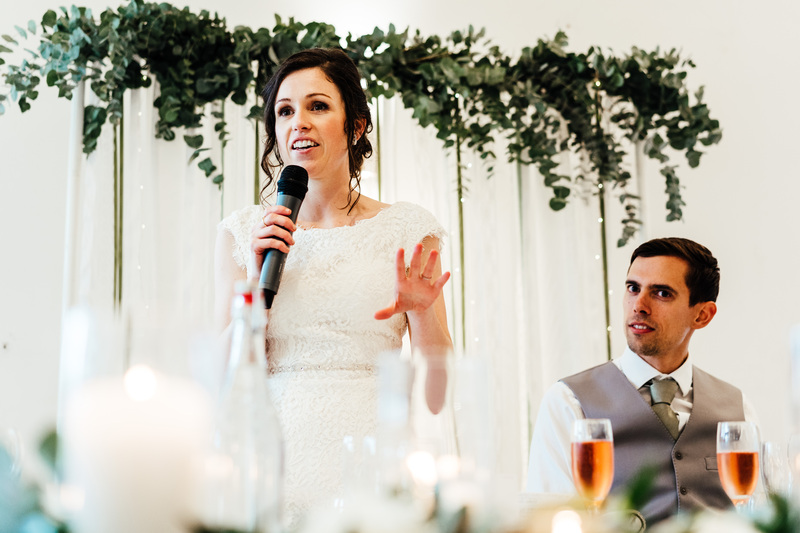 We wanted something that wasn’t too stuffy or formal and most importantly, we didn’t want to spend too much time looking around! 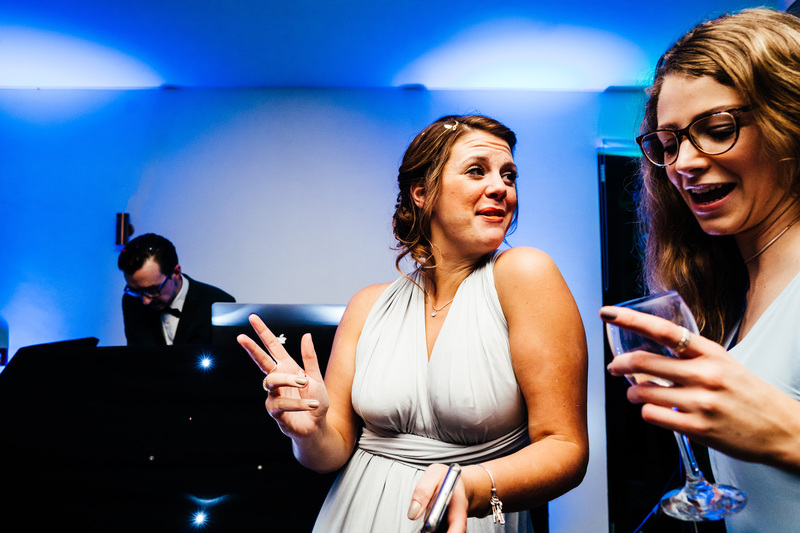 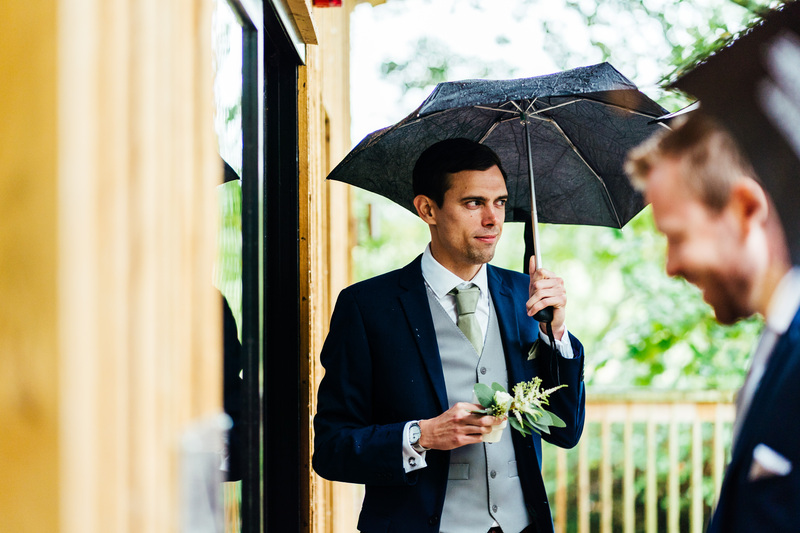 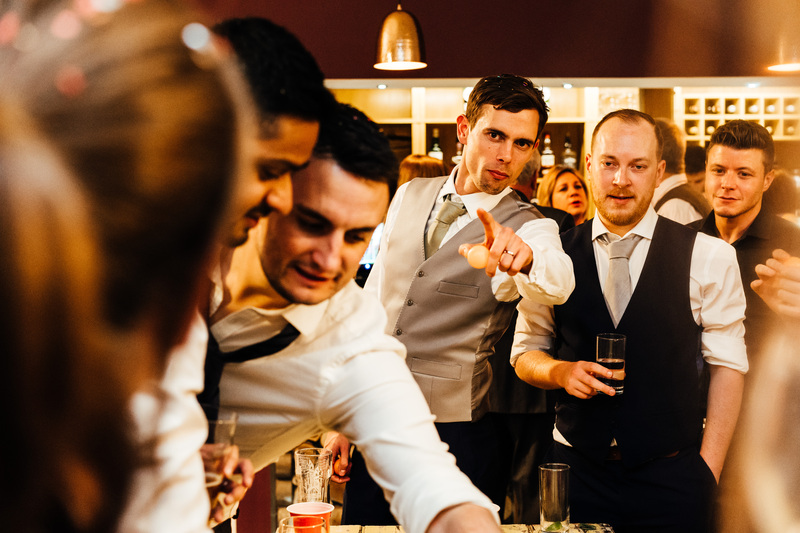 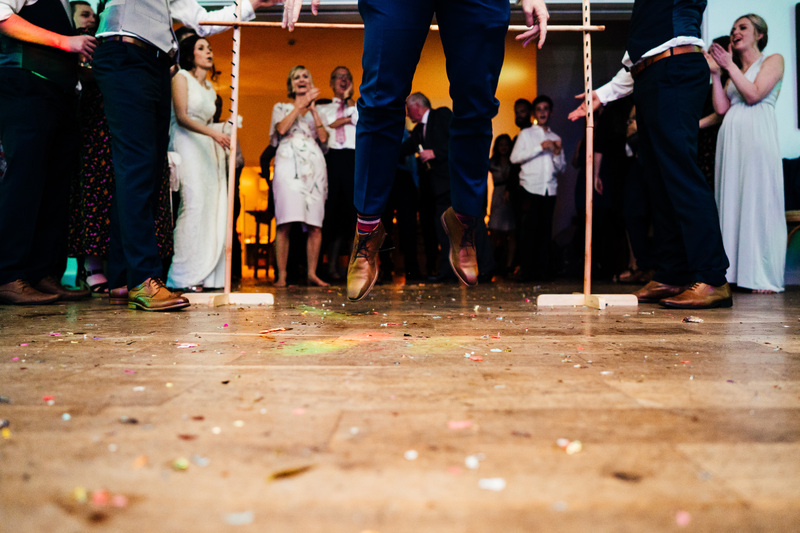 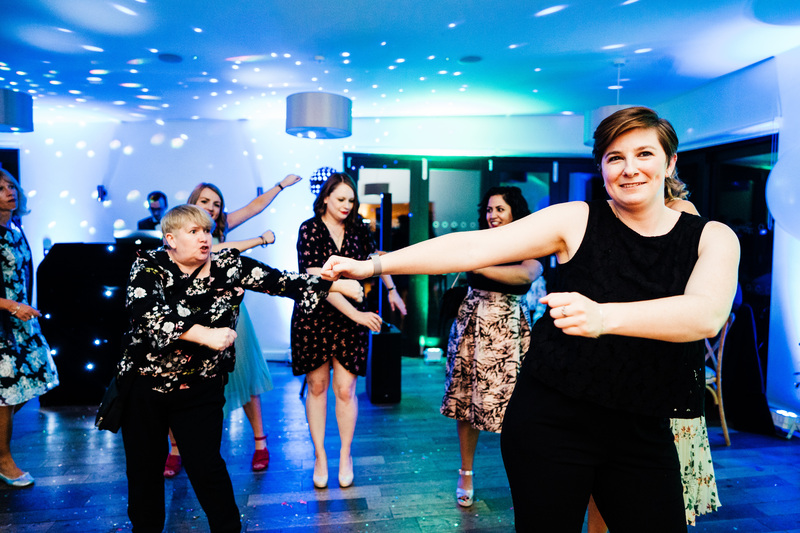 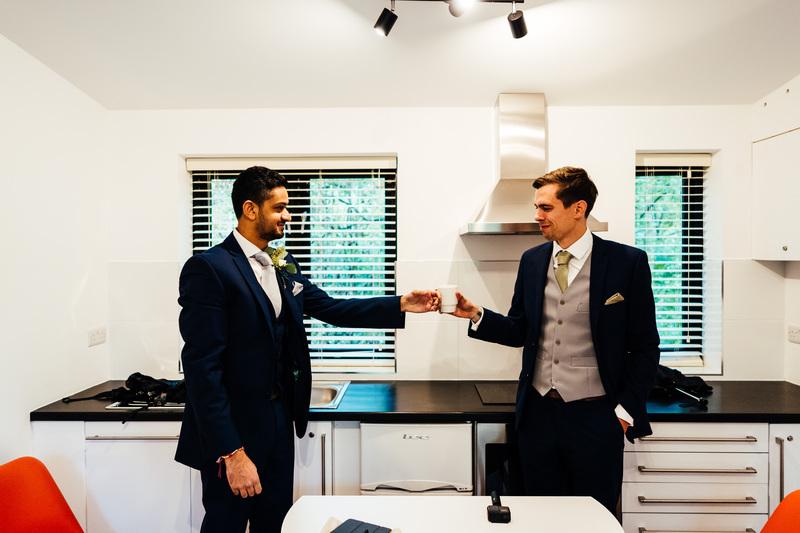 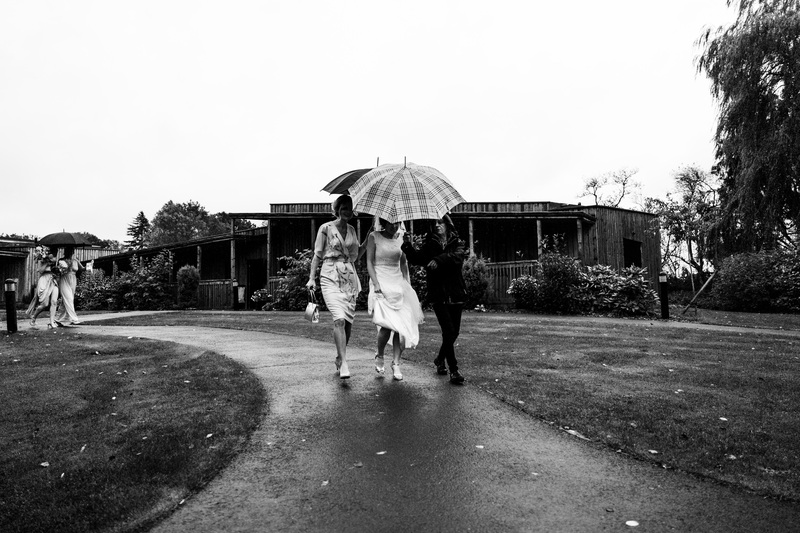 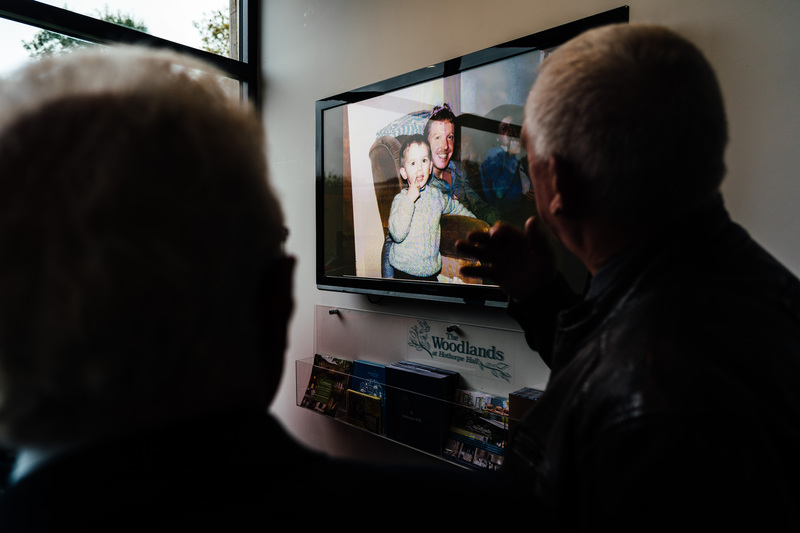 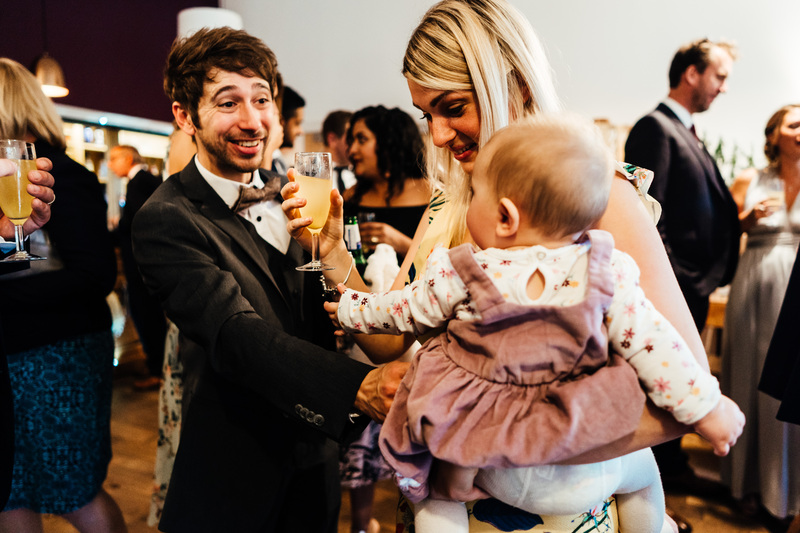 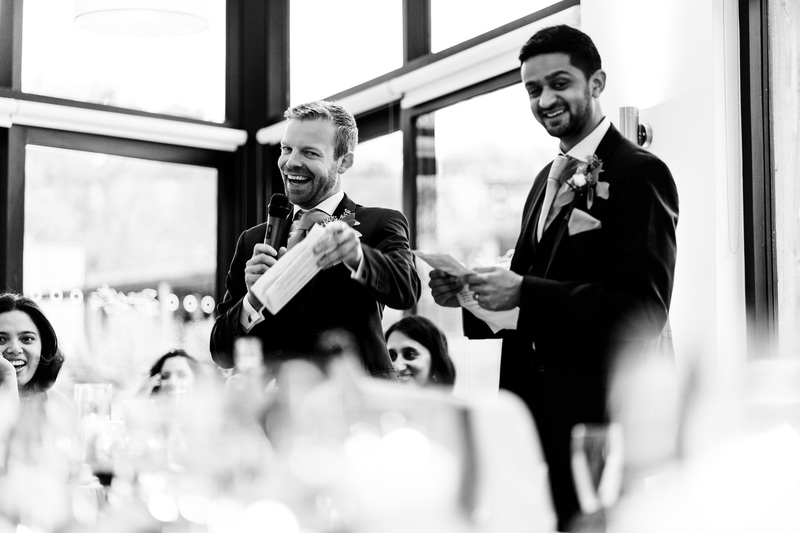 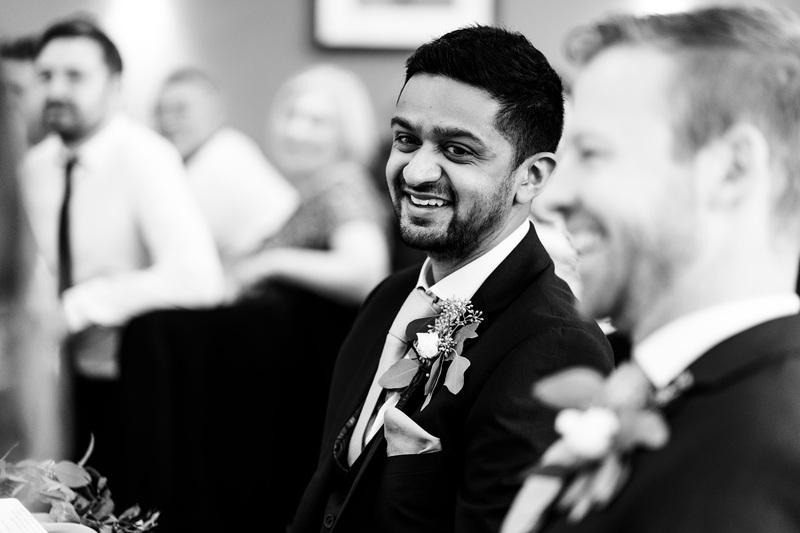 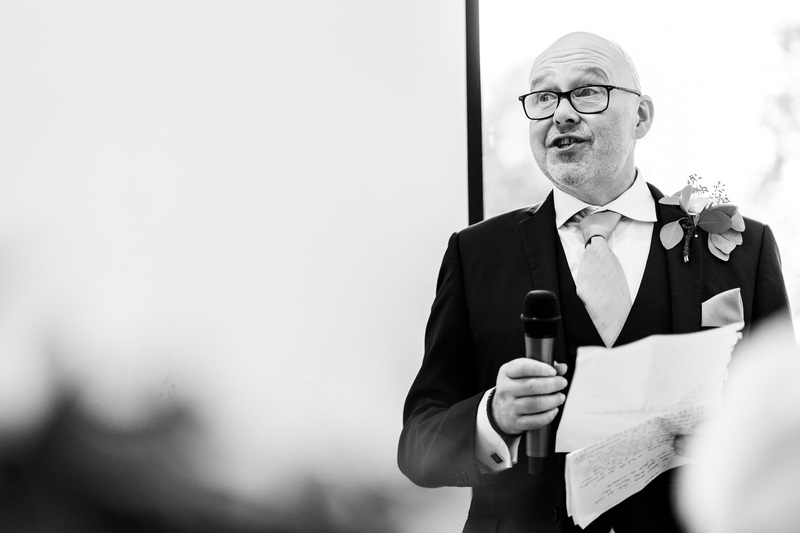 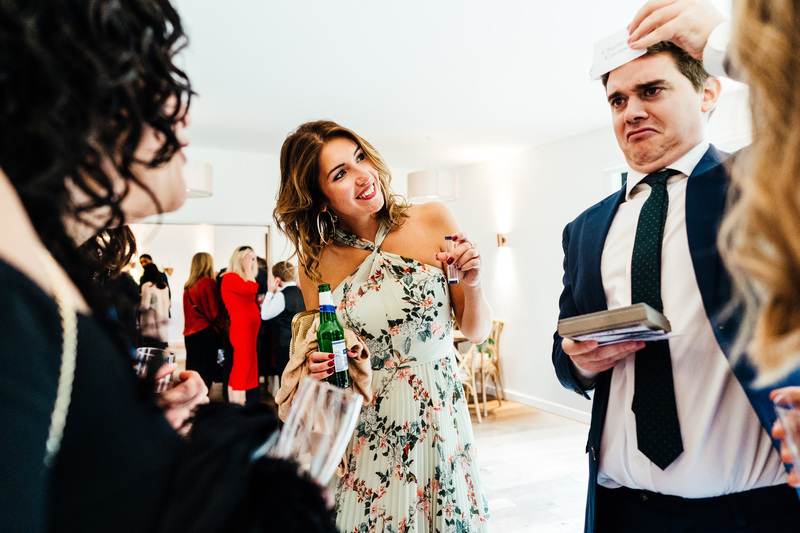 The Woodlands was the third or fourth venue that we looked at and after viewing it, we instantly knew that it was for us – convenient for our friends and family, accommodation on site and it is an indoor/outdoor venue. 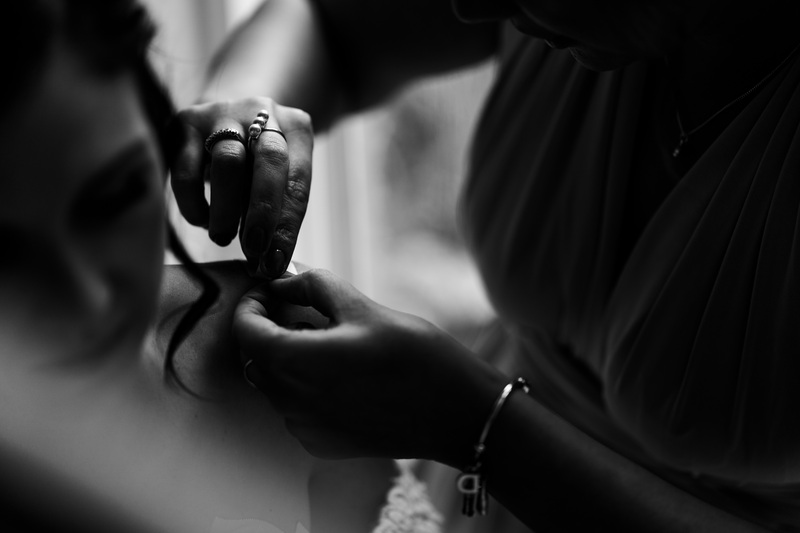 It ticked a lot of boxes and was very convenient! 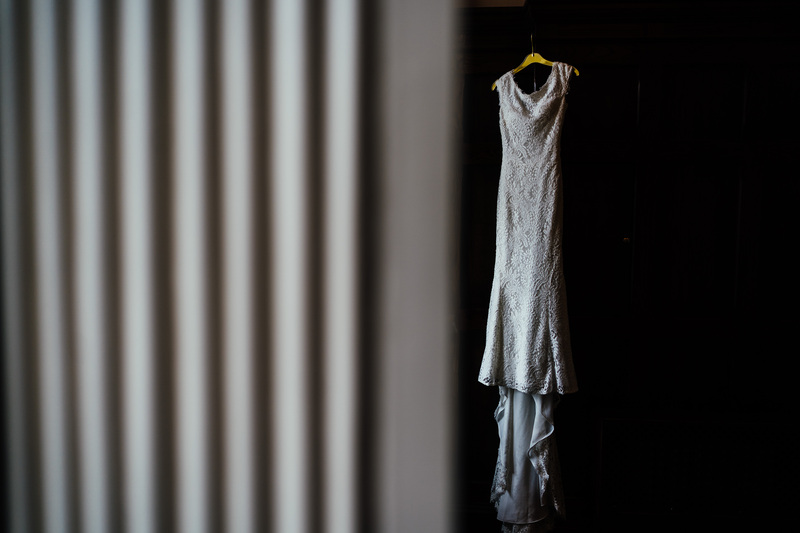 Jade’s dress – I never knew what sort of dress I wanted but what I did know, is that I didn’t want to spend too much time looking for one (there is a bit of a theme here). 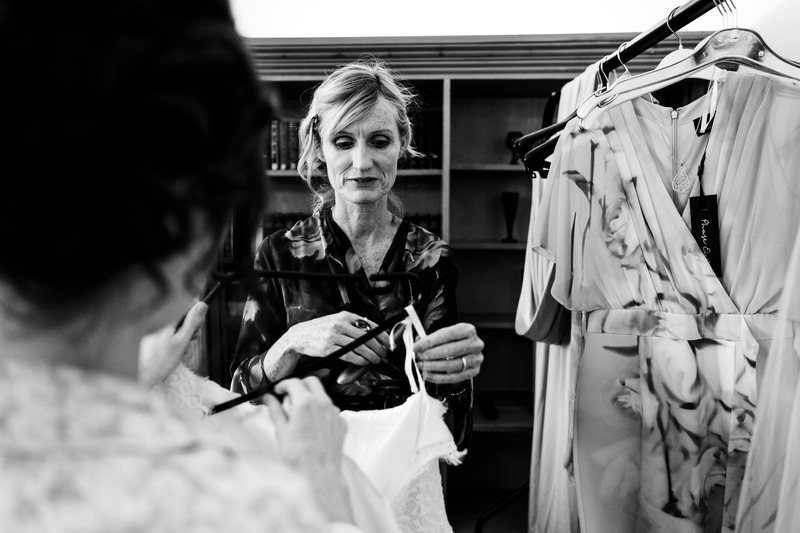 Luckily, picking ‘the one’ was very easy and it was actually only the third dress that I tried on. 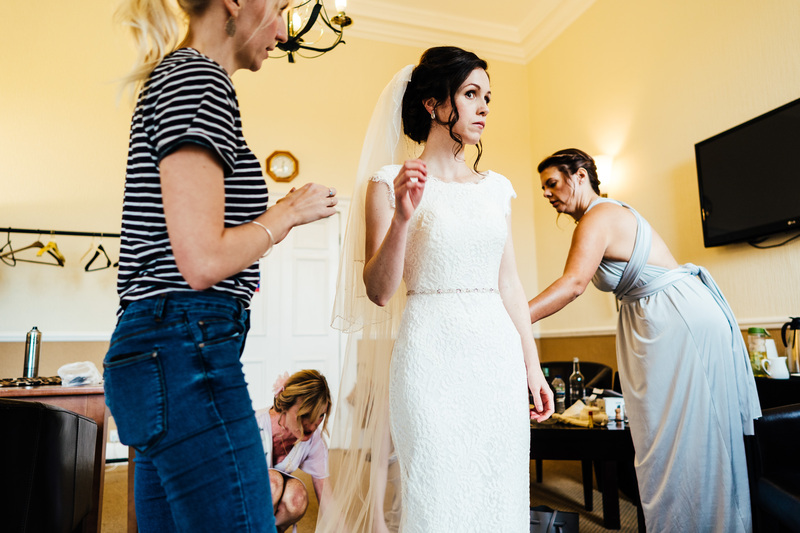 It was sold to me on the basis that my Mum and Grandma said it looked lovely on me and it fitted me really well which was a bonus – I loved how comfortable it was and the lace detail. 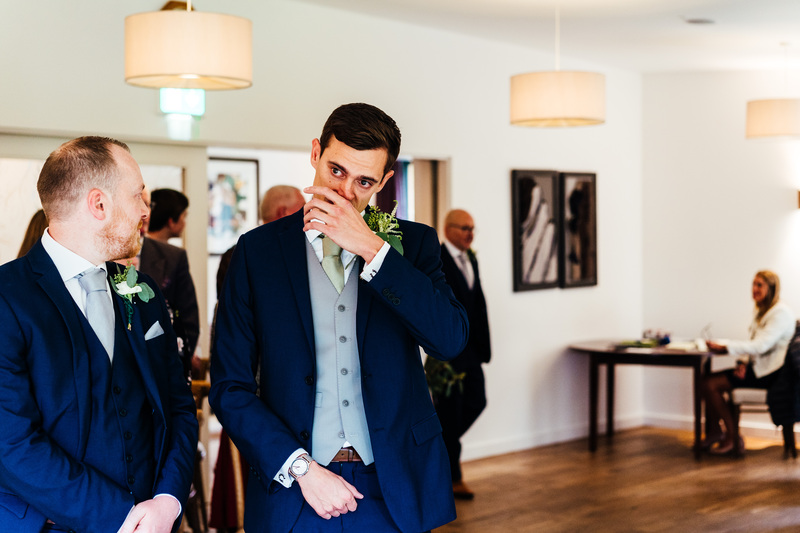 Pete’s waistcoat selection – A bit a of a different story but we got there in the end! 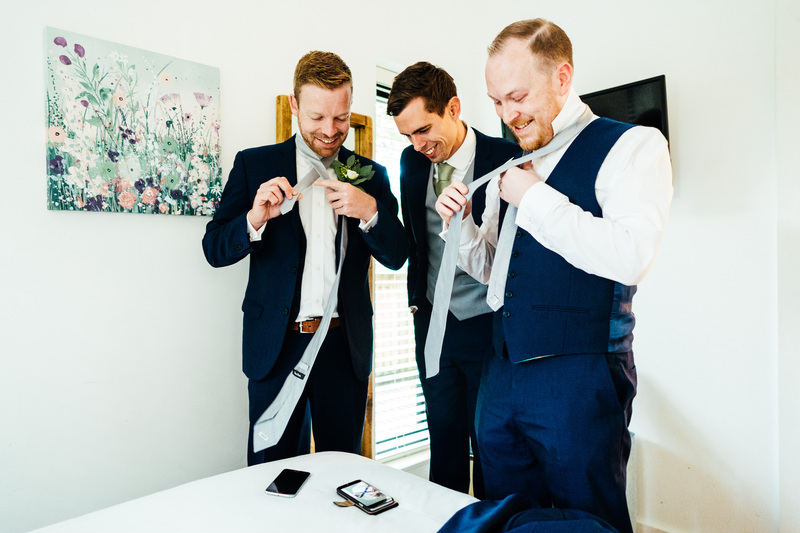 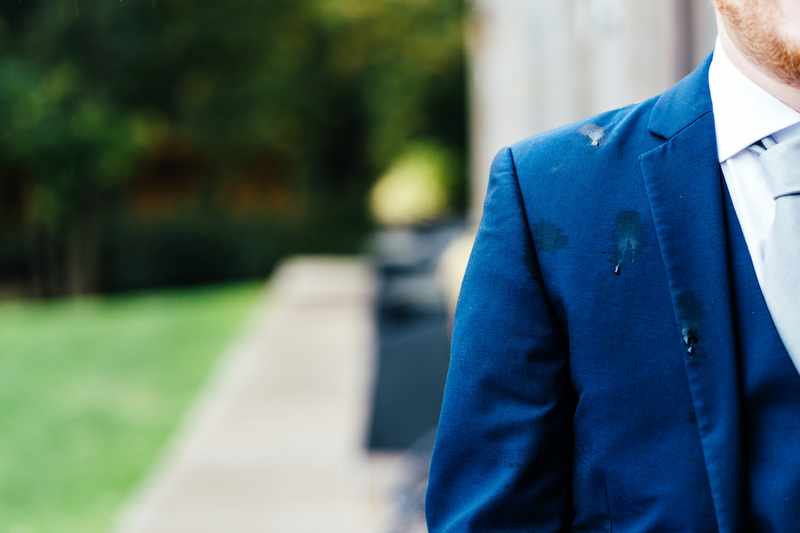 He decided on a grey colour to distinguish himself from the other groomsmen (and also to make sure I could remember who I was marrying). 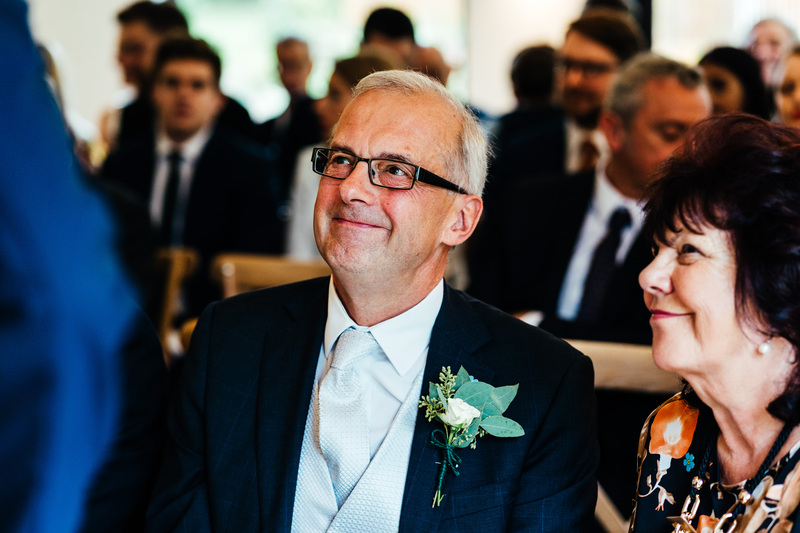 Pete also had horseshoe cufflinks as his Mum had small horseshoes on her wedding day for good luck. 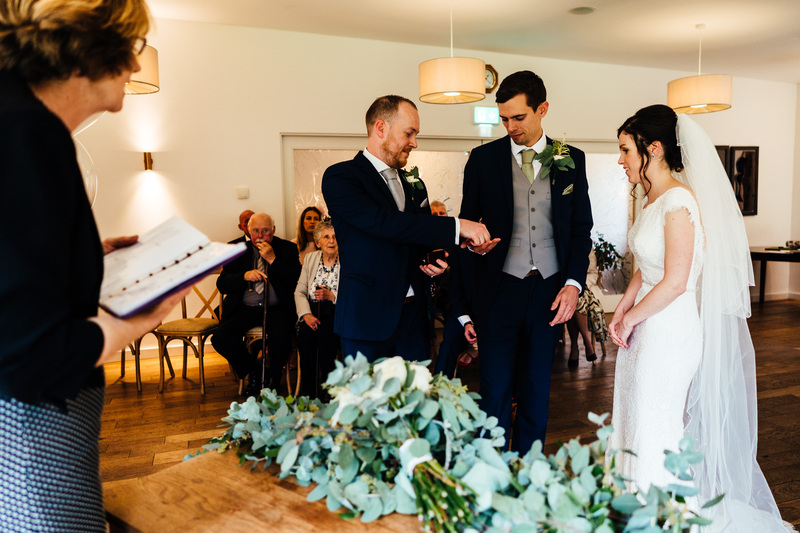 Given the venue, a rustic woodland theme made sense and when we saw that The Rustic Wedding Company offered this as a styling theme, it was a no brainer and we went with it. 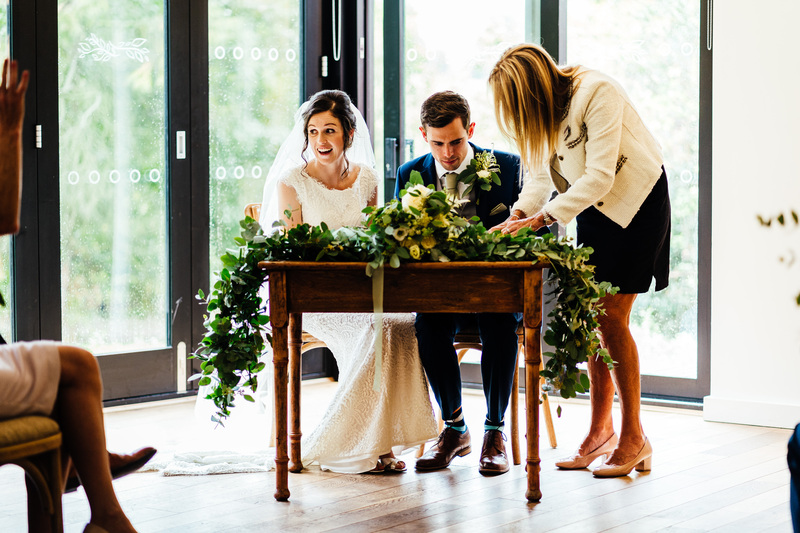 it is amazing what you can do with a bit of foliage! 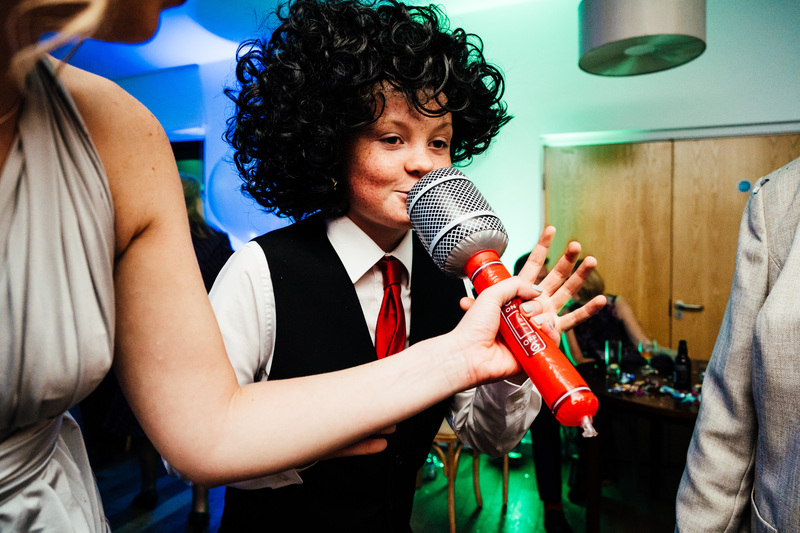 Everyone loves a bit of Lionel, and Pete’s mum was a big fan! 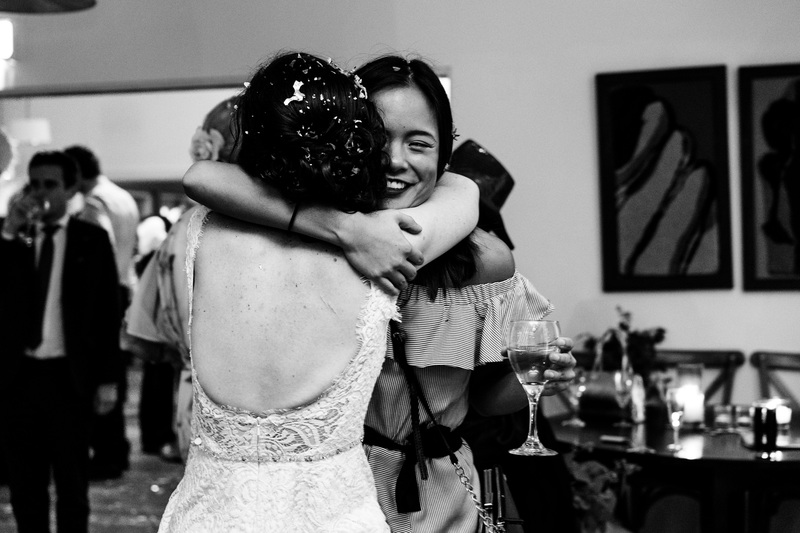 We chose Hannah after speaking to a few photographers. 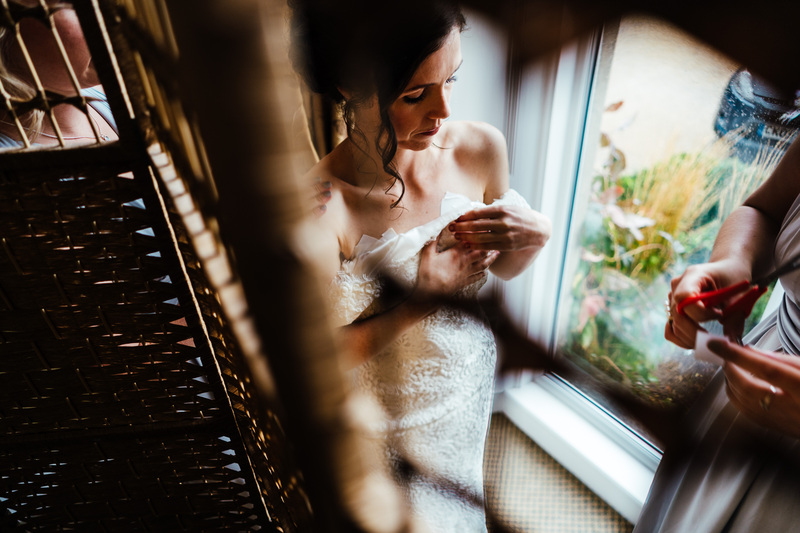 We really liked her portfolio and the non-traditional shots on her site – these really captured emotions. 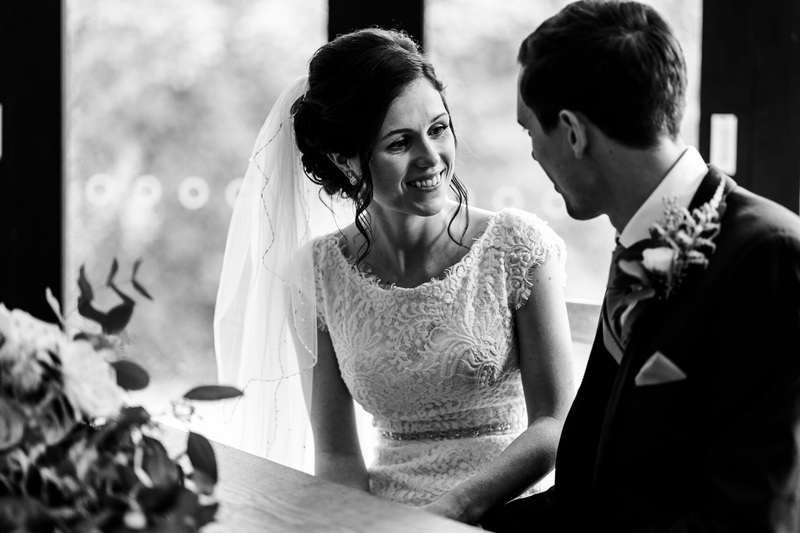 From start to finish Hannah was professional, approachable and super friendly. 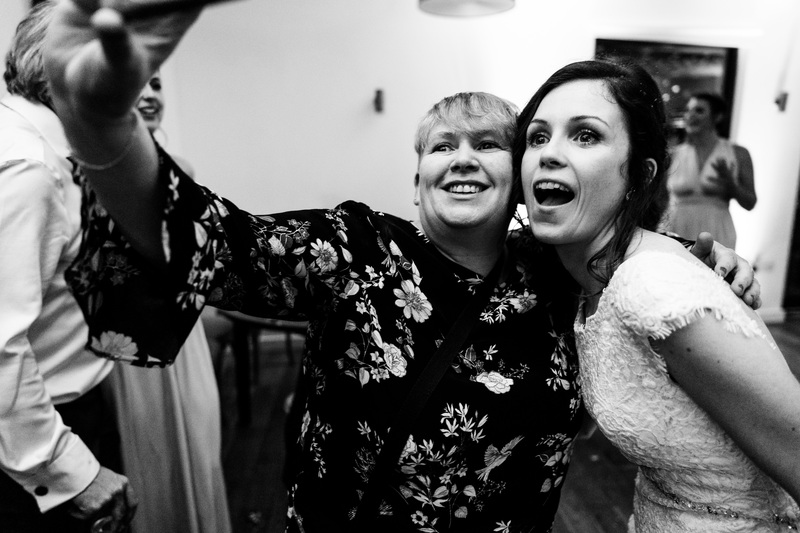 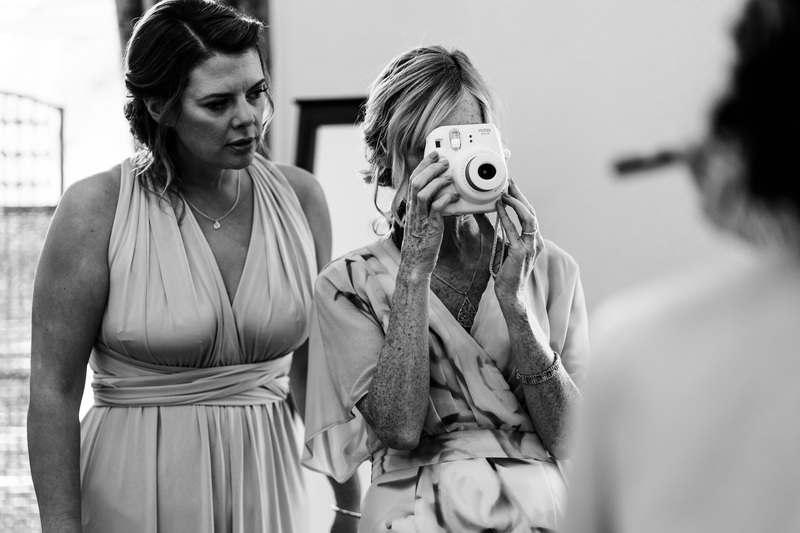 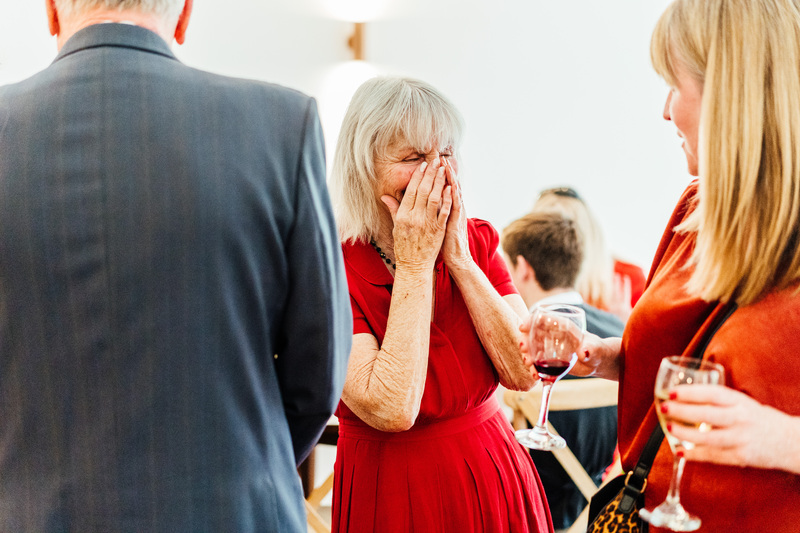 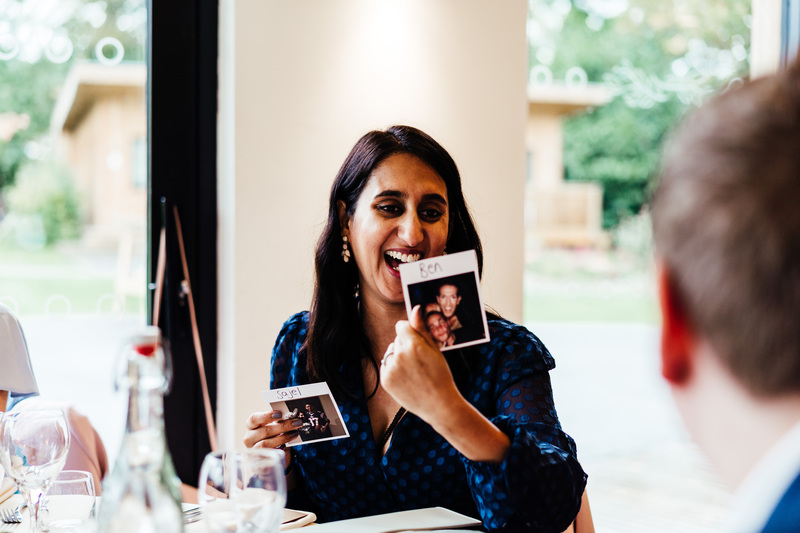 She was more than just a photographer and at times, it felt like she was my third bridesmaid, carrying my perfume bottle all day and socialising with our guests. 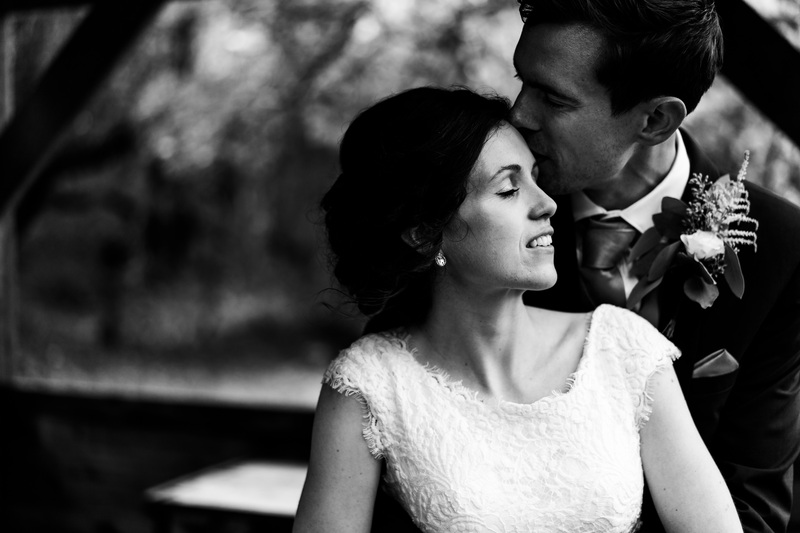 Seriously, if you are looking for modern, energetic and talented photographer PICK HANNAH HALL! 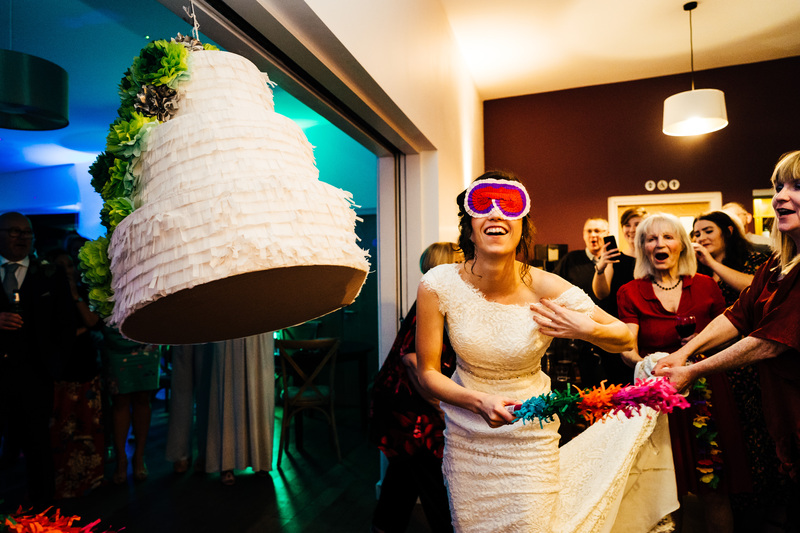 Make it personal to you and be sure to get a Piñata! 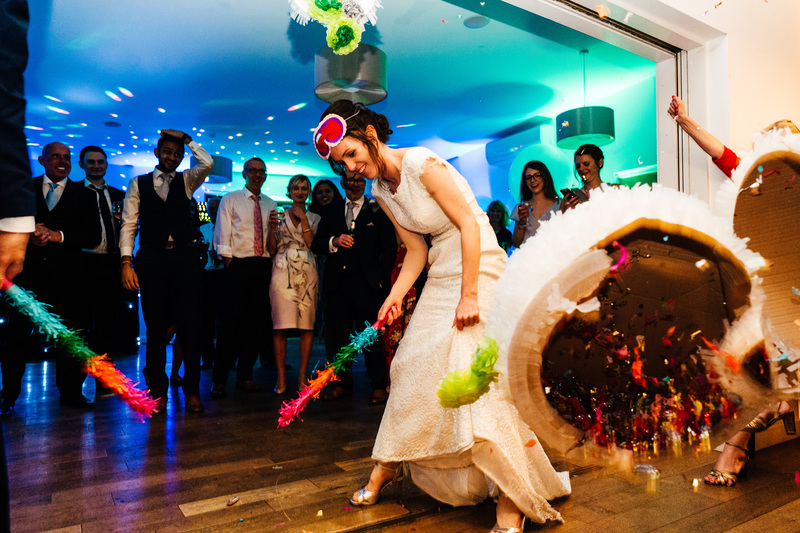 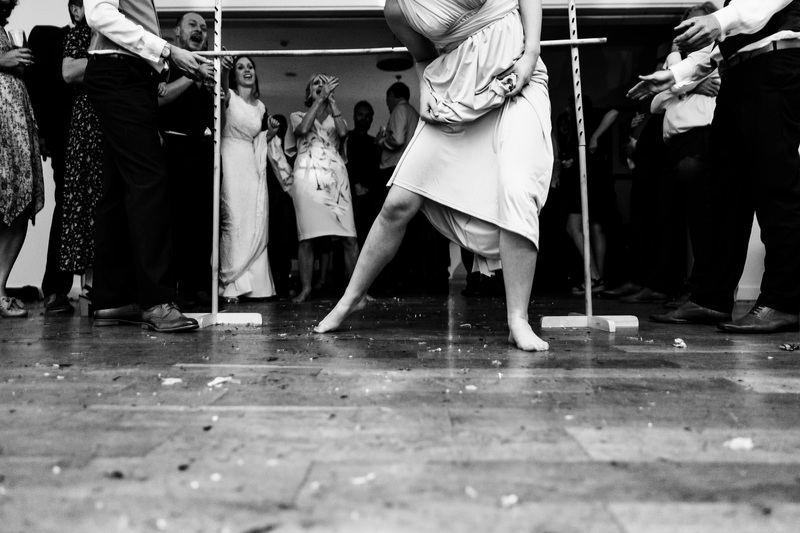 Planning a pinata or a limbo at your wedding? 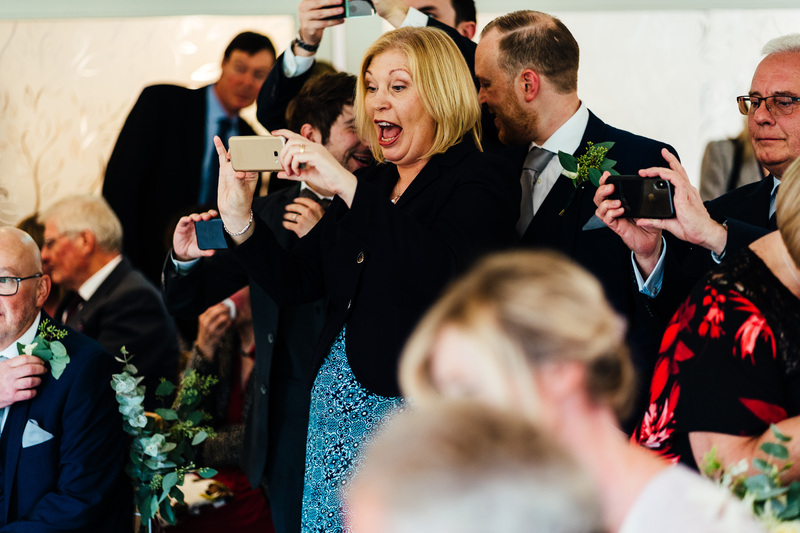 Want the best bits of your day captured? 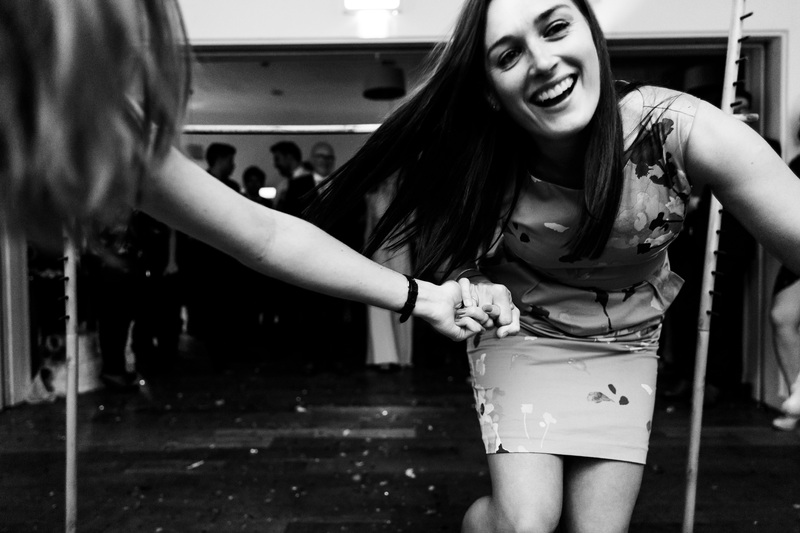 I’m your girl, give me a buzz.